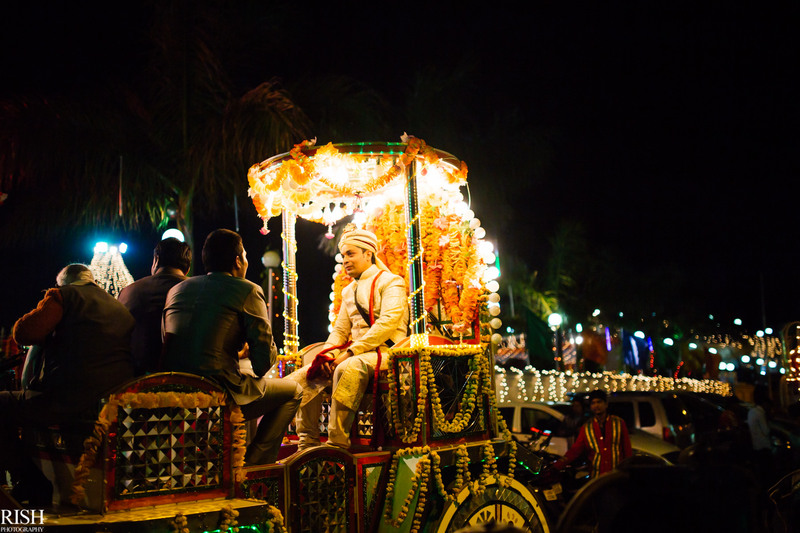 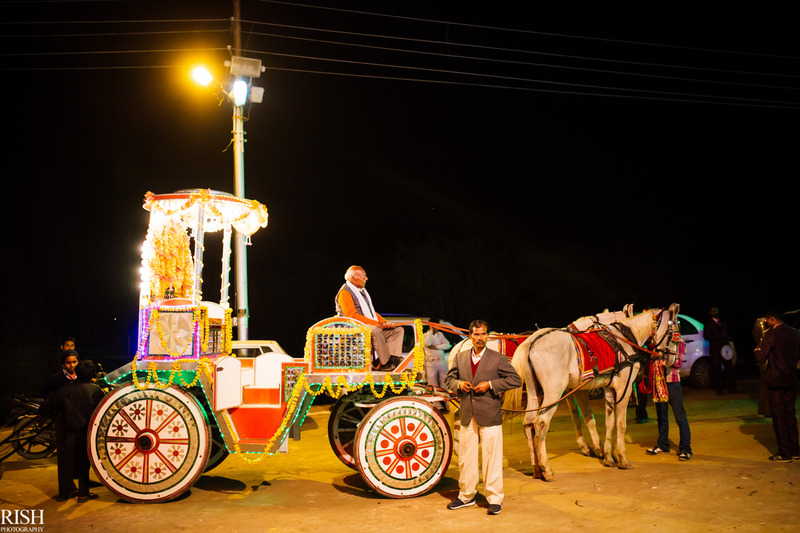 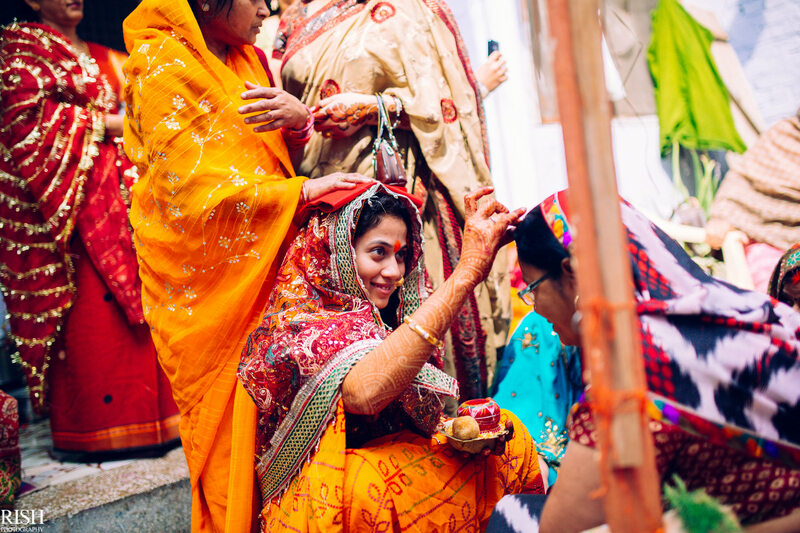 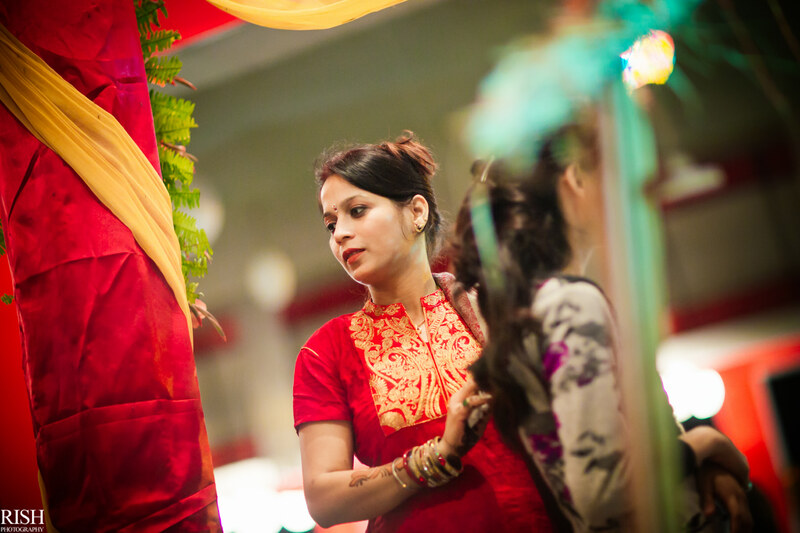 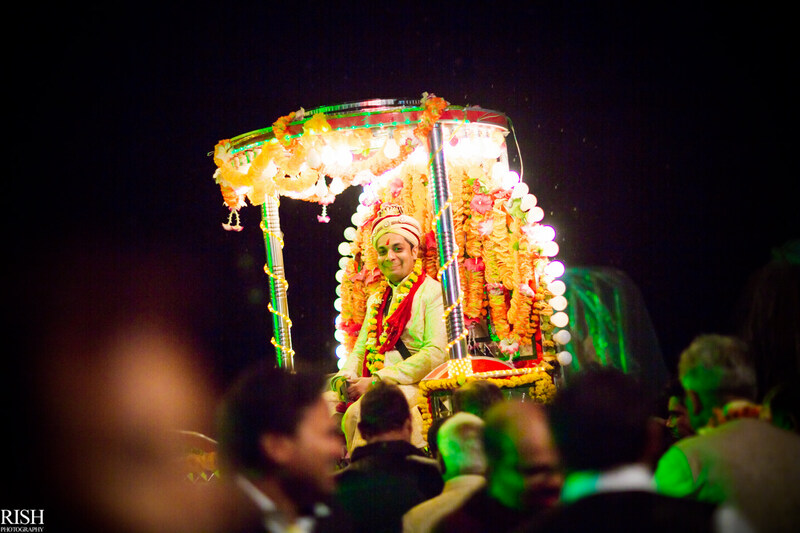 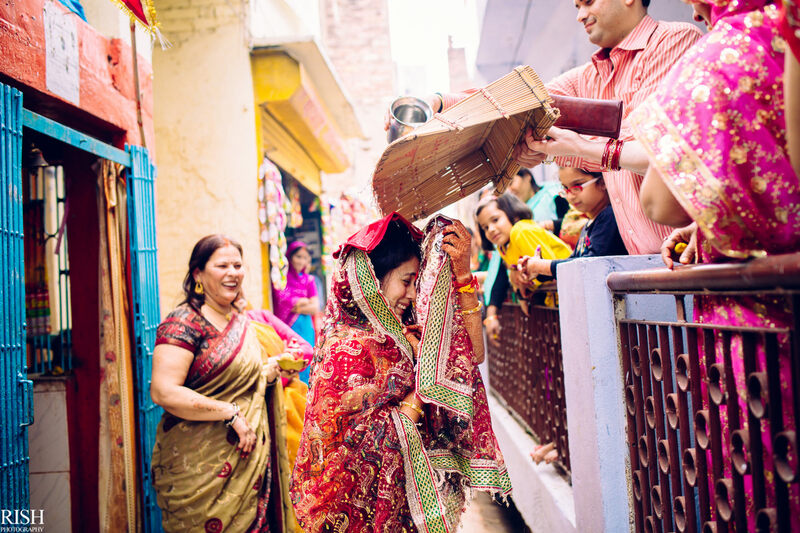 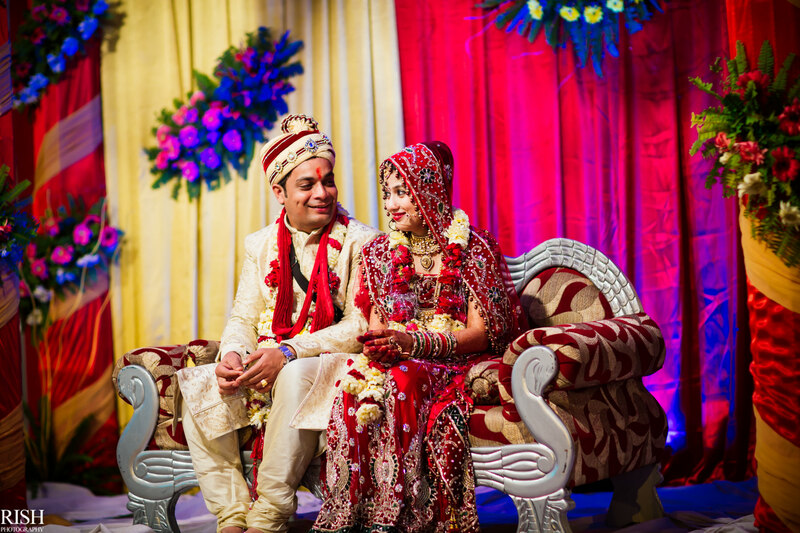 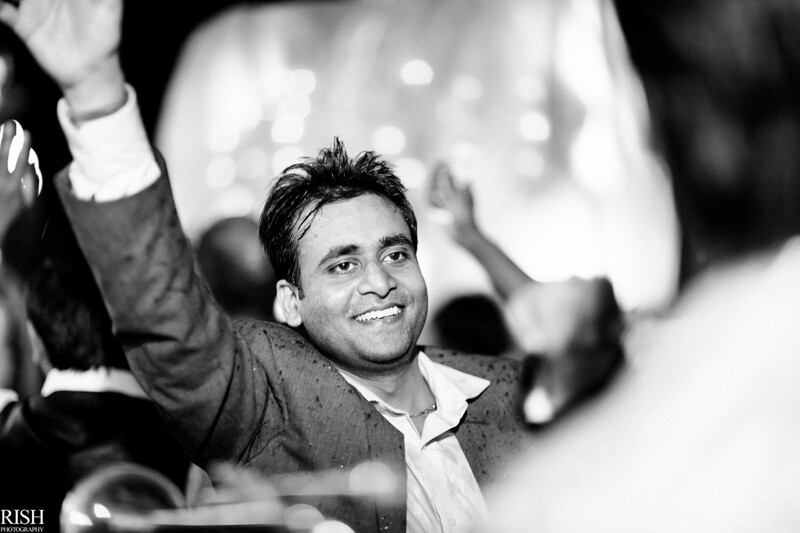 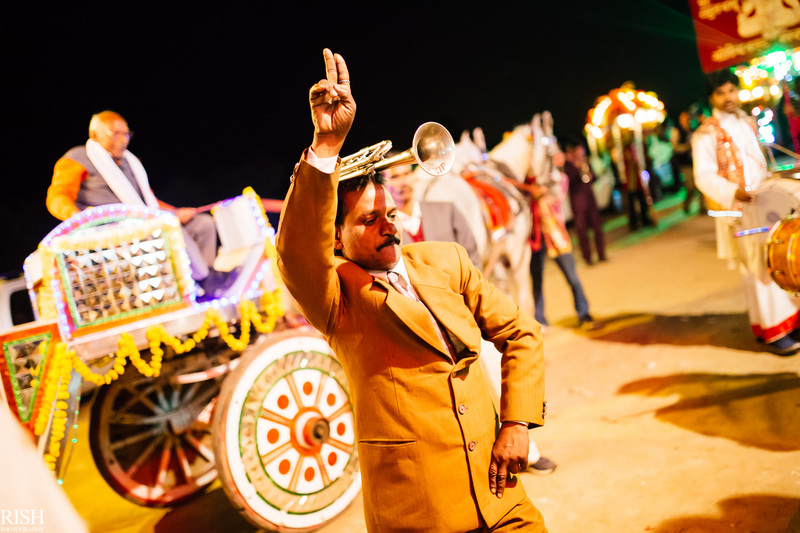 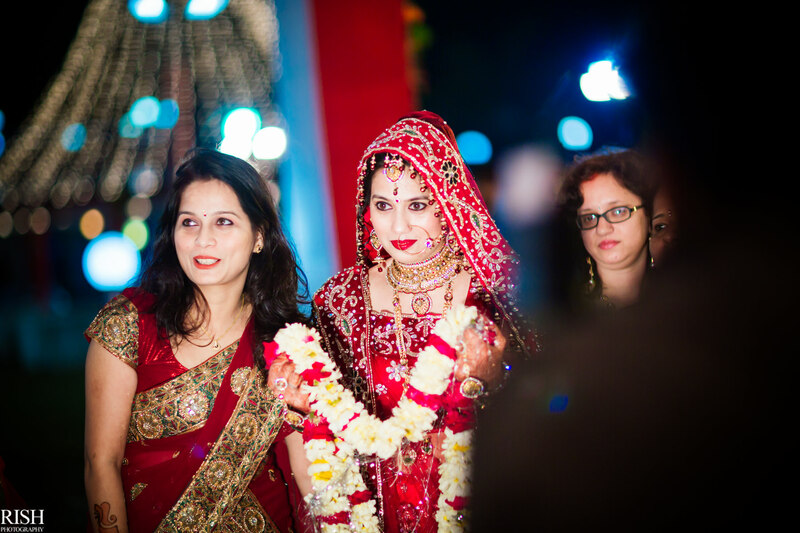 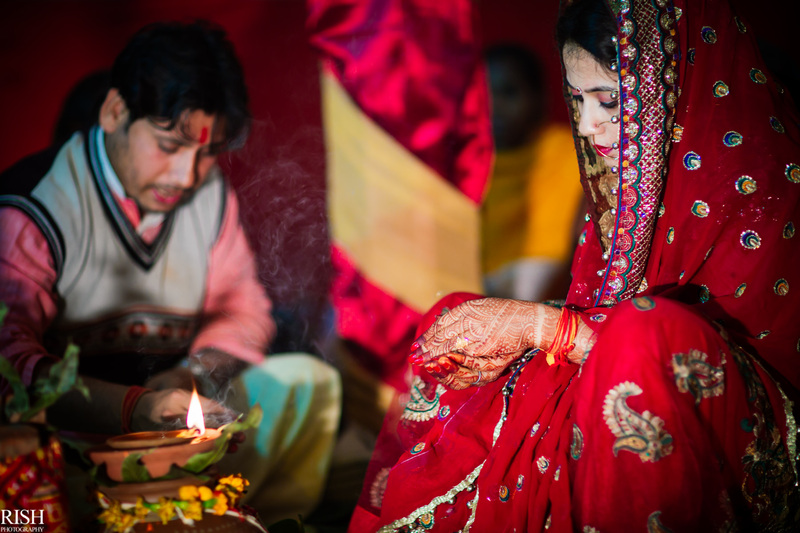 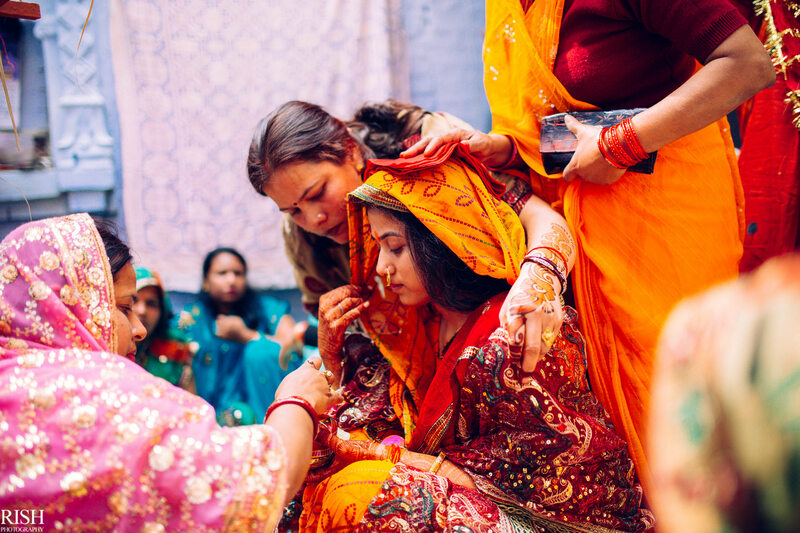 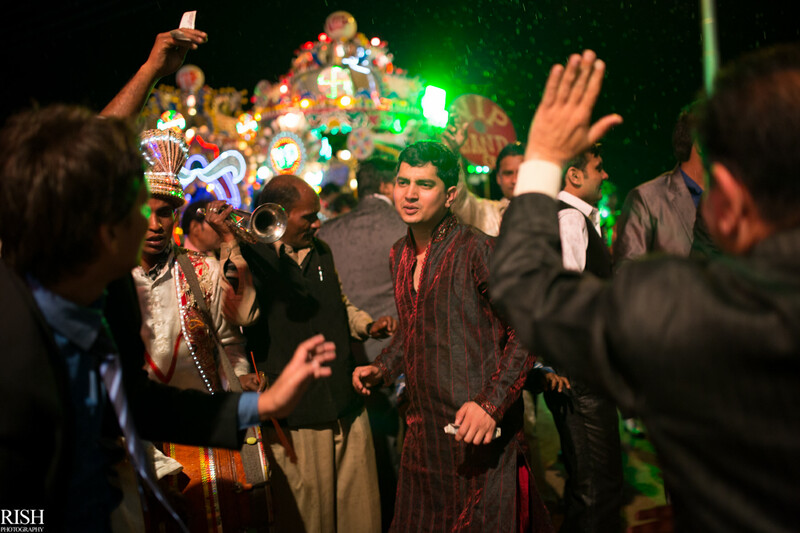 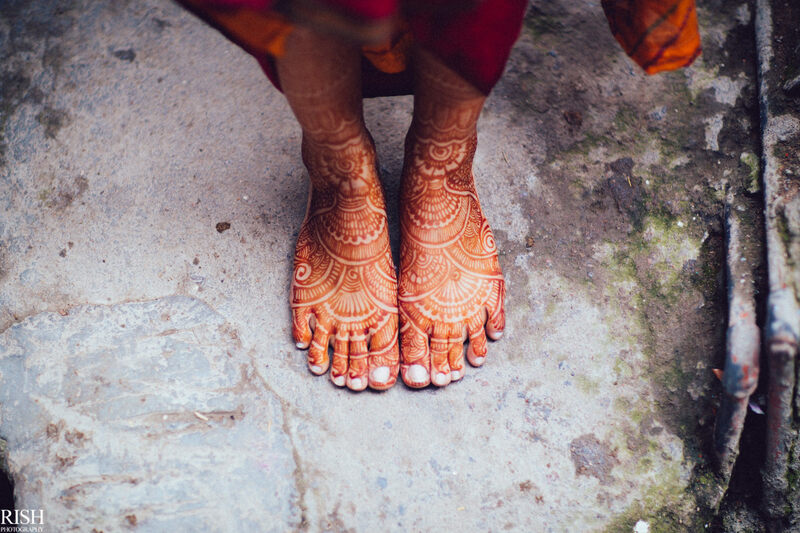 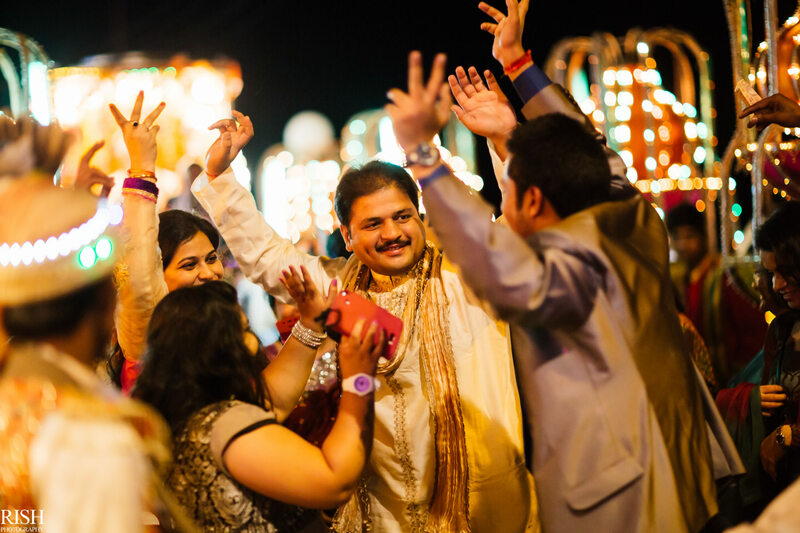 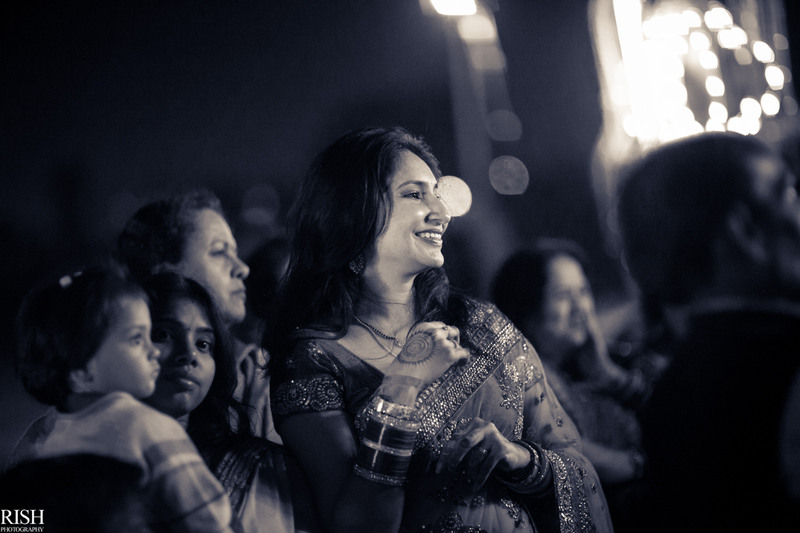 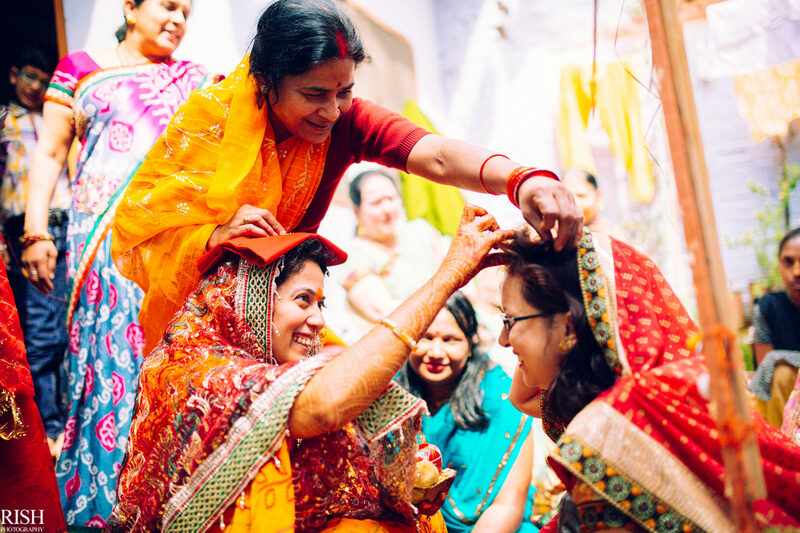 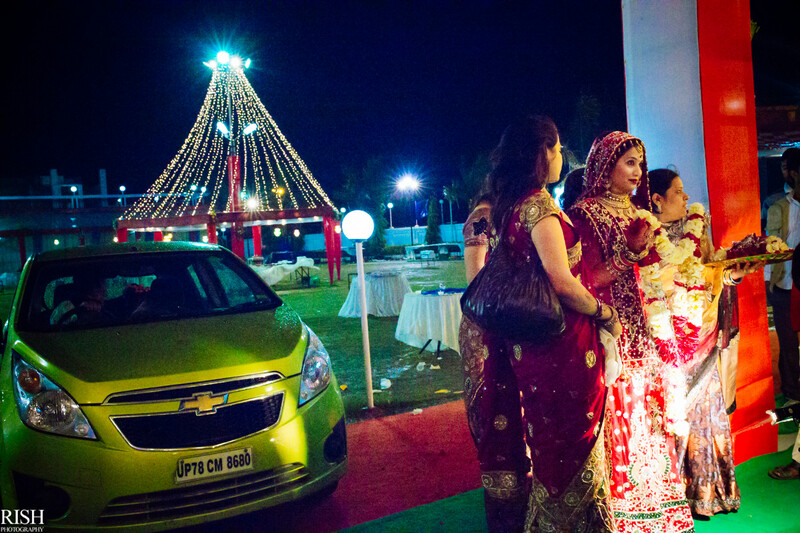 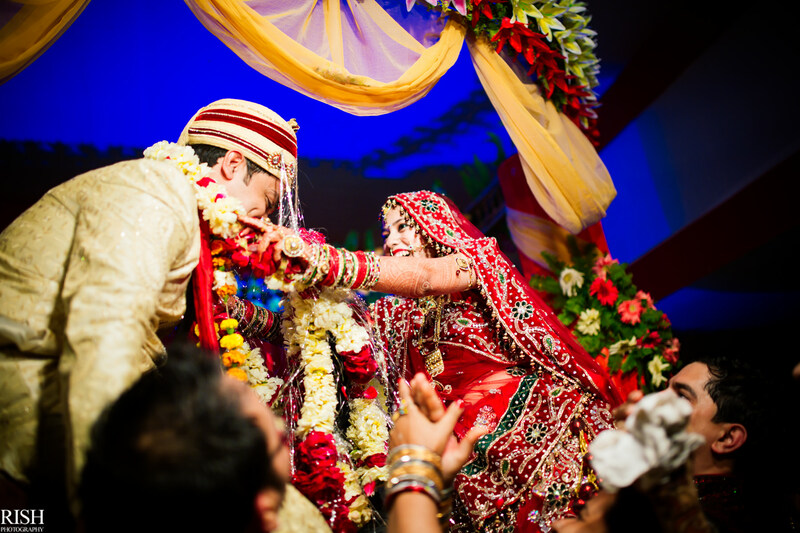 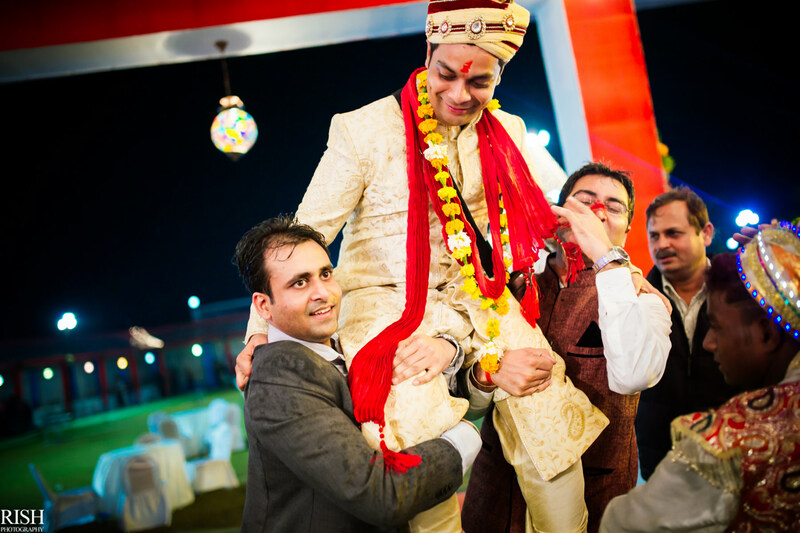 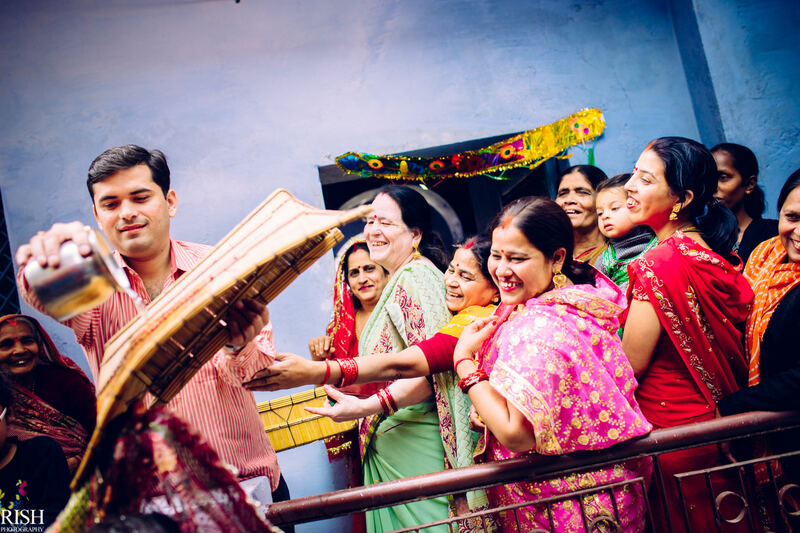 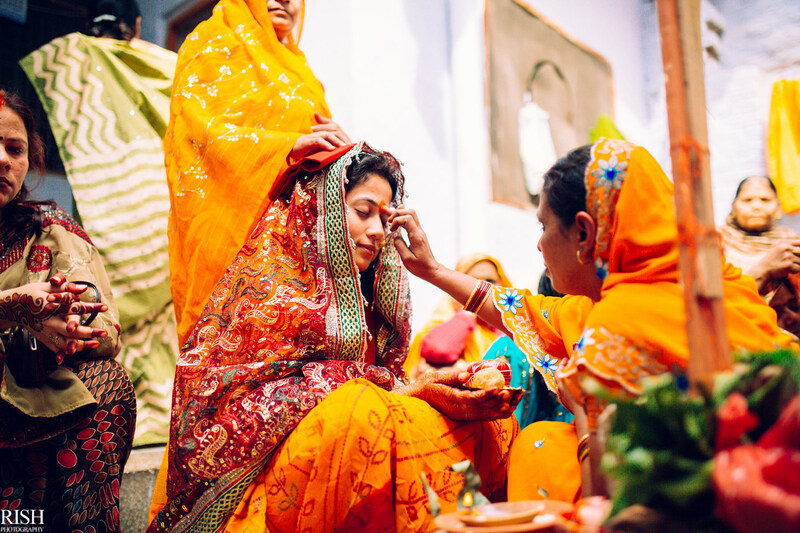 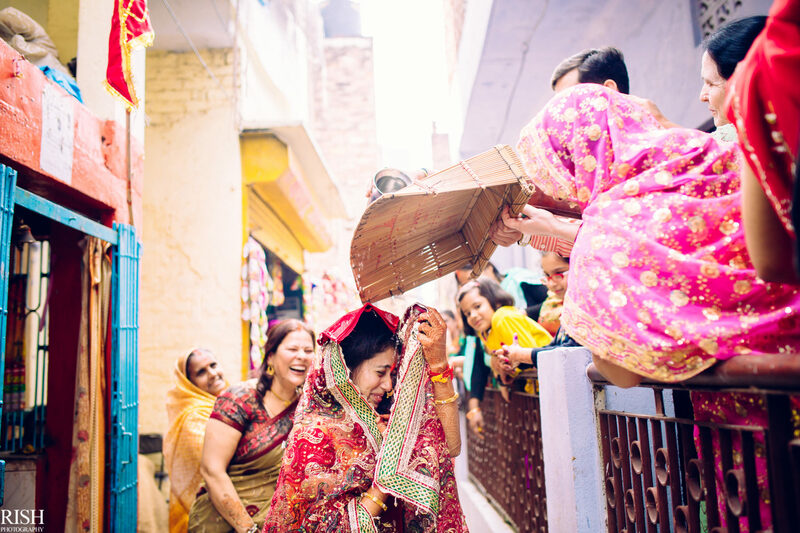 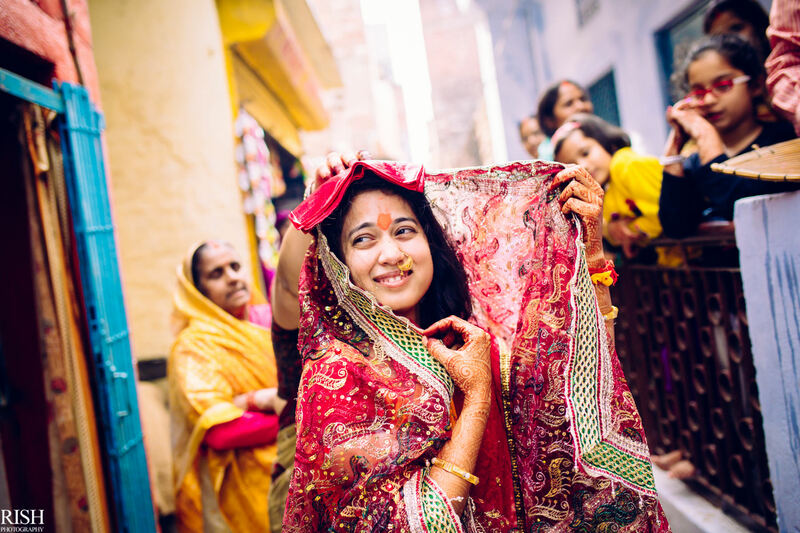 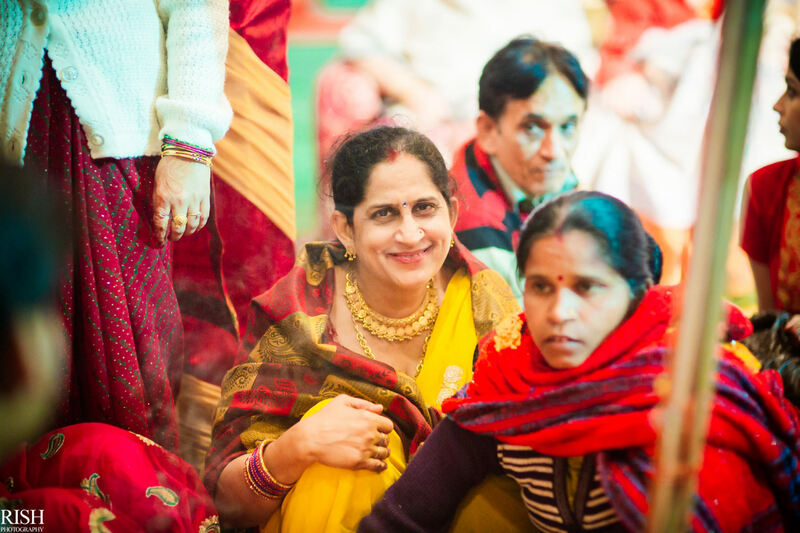 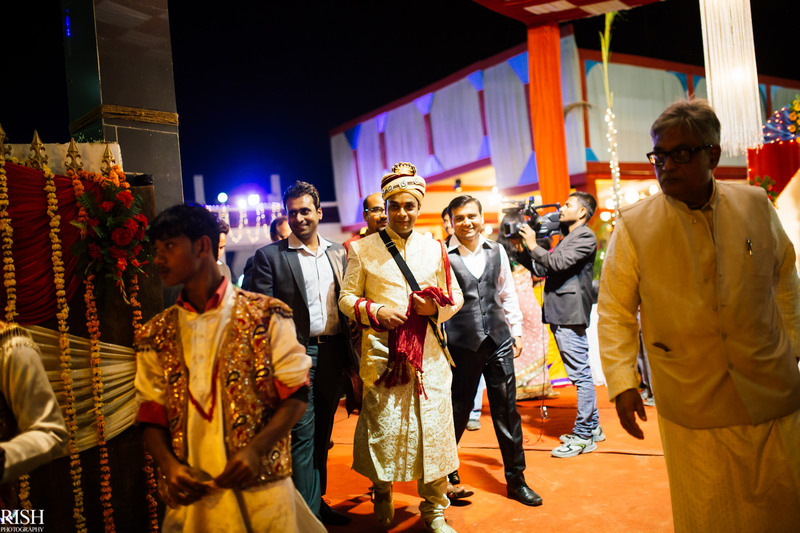 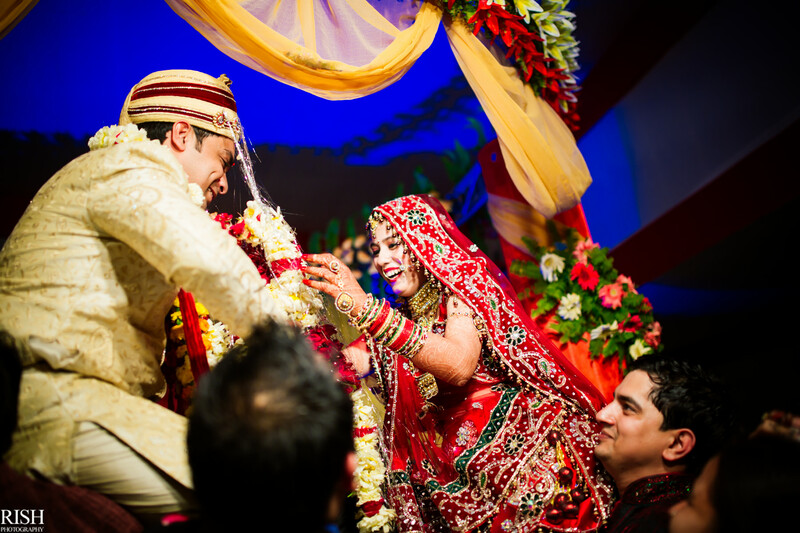 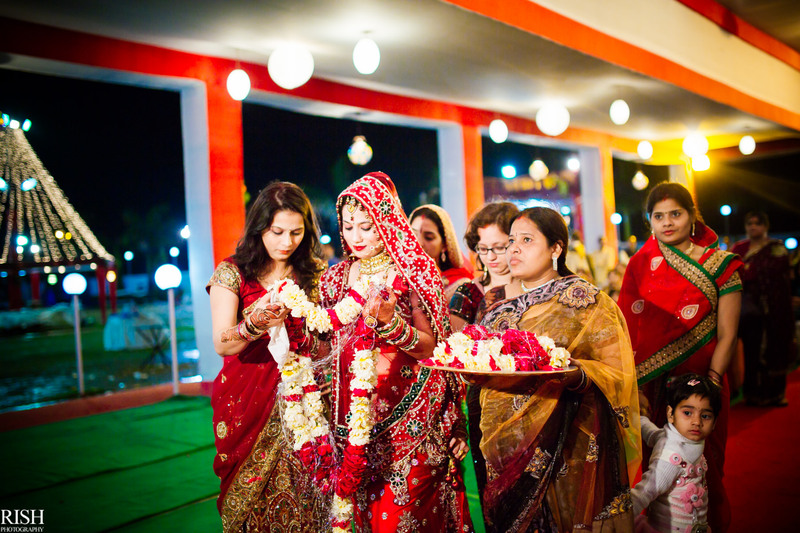 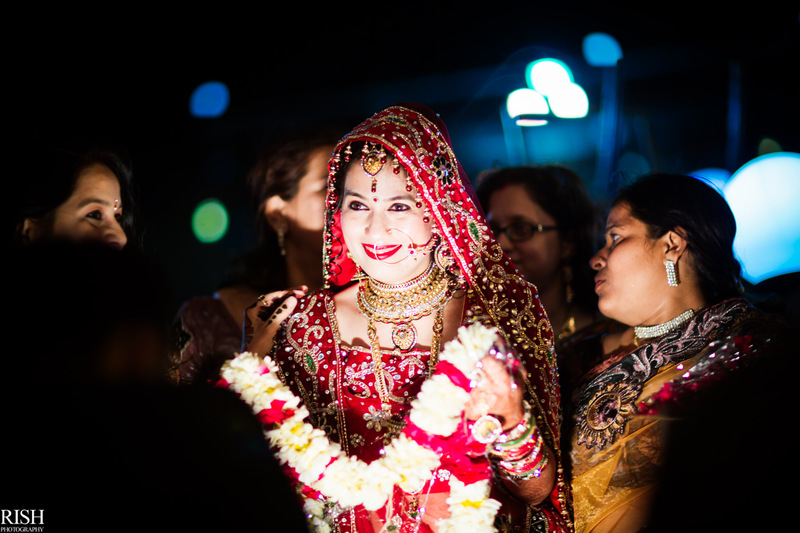 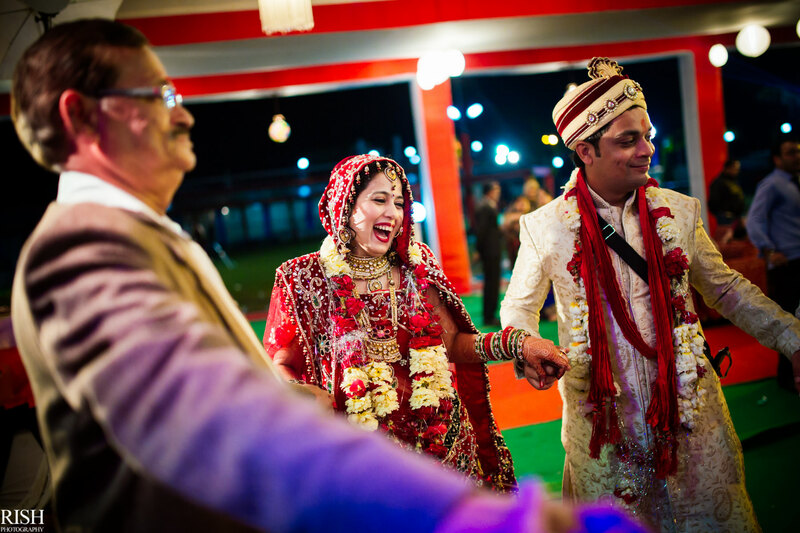 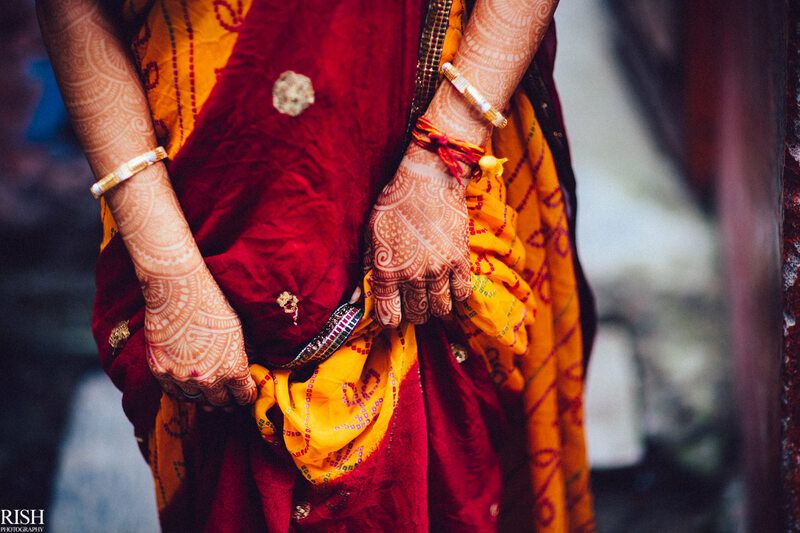 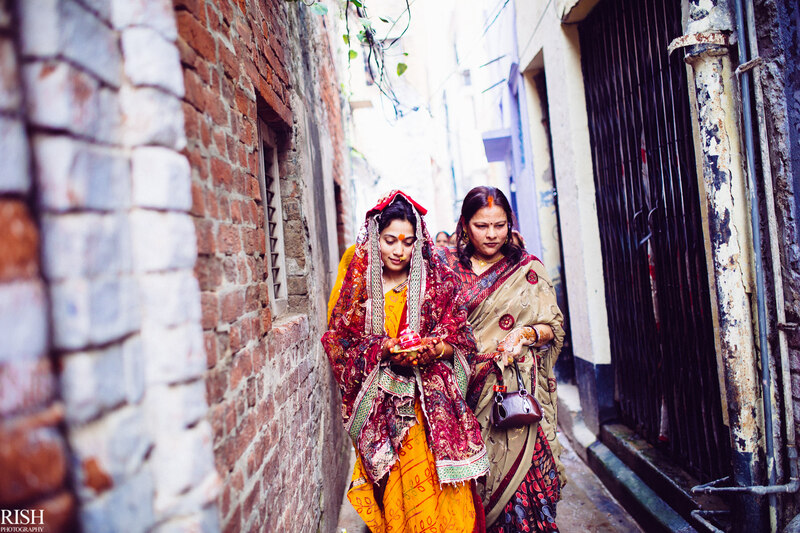 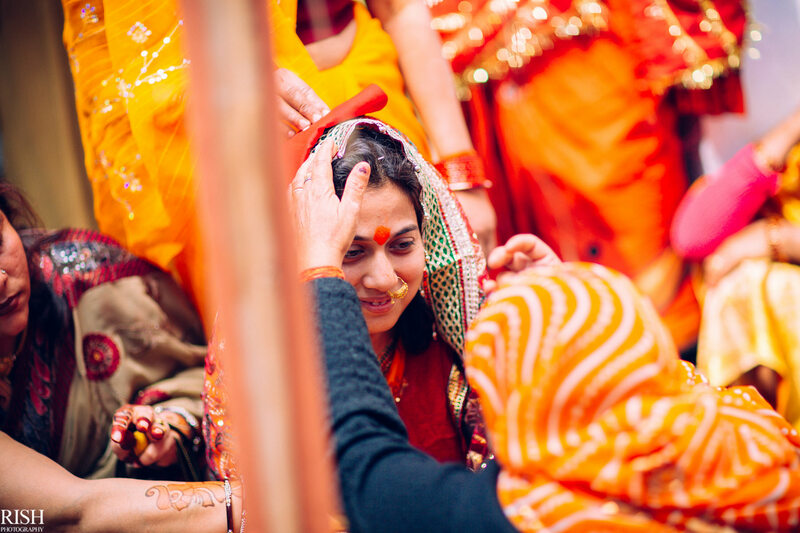 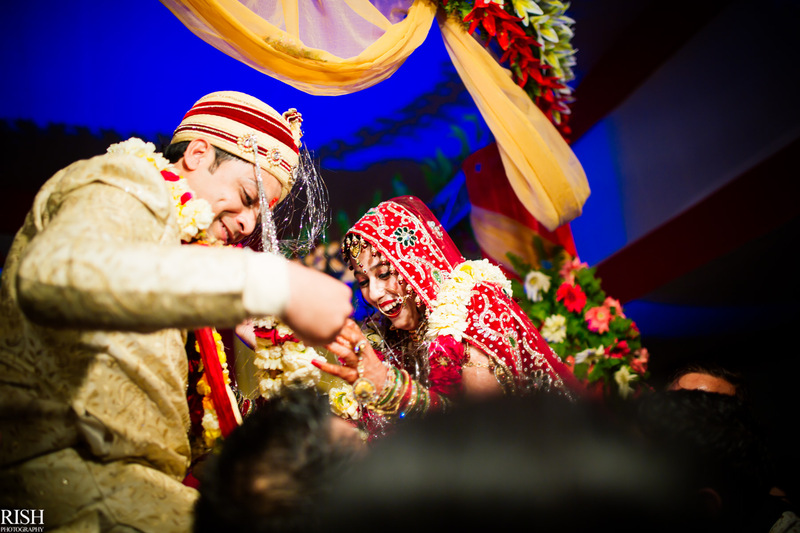 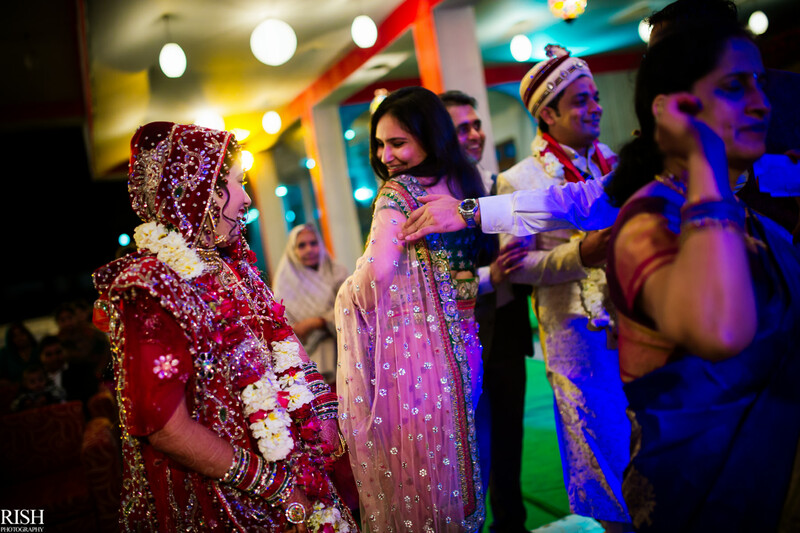 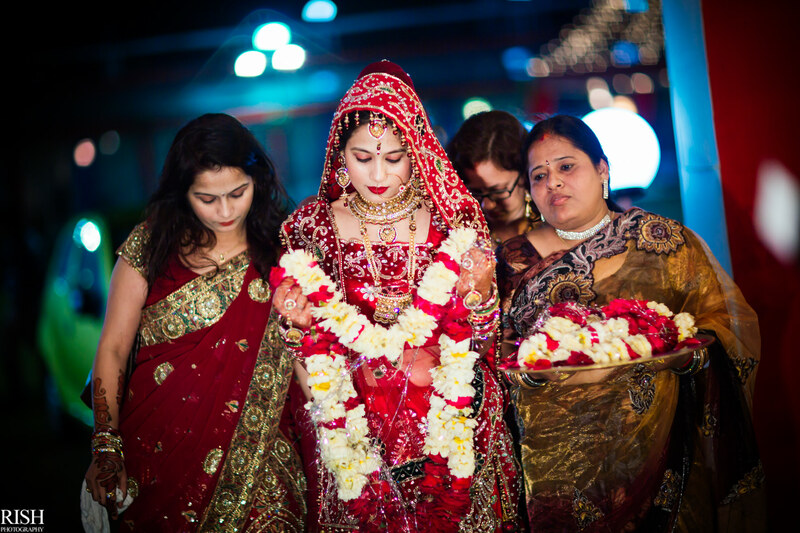 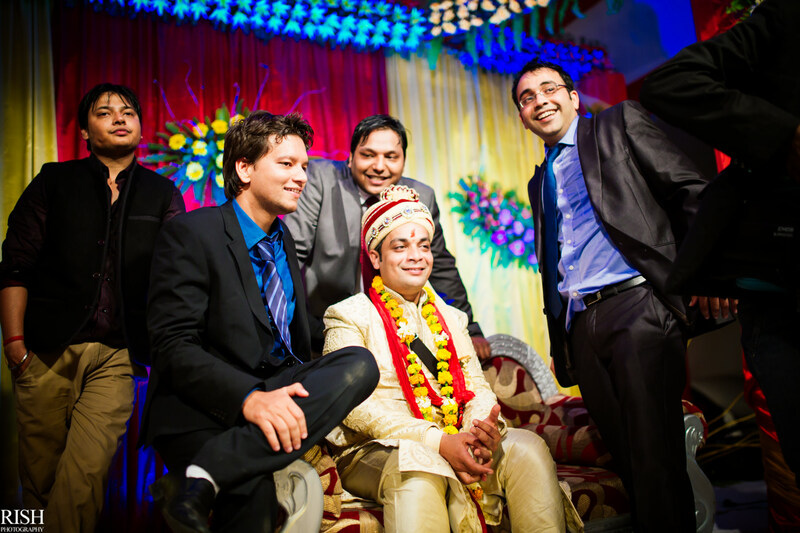 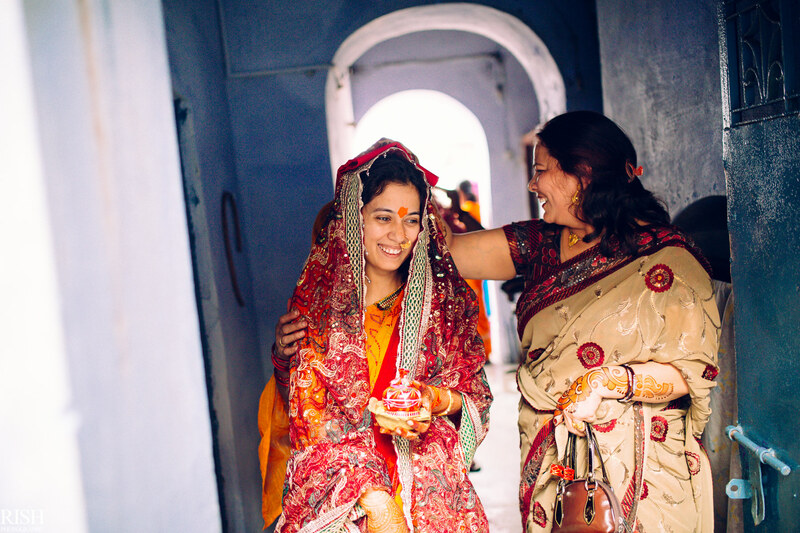 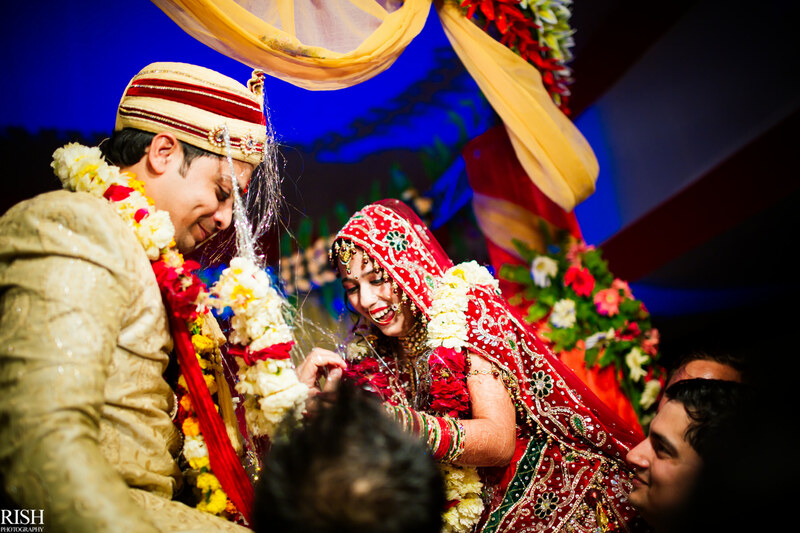 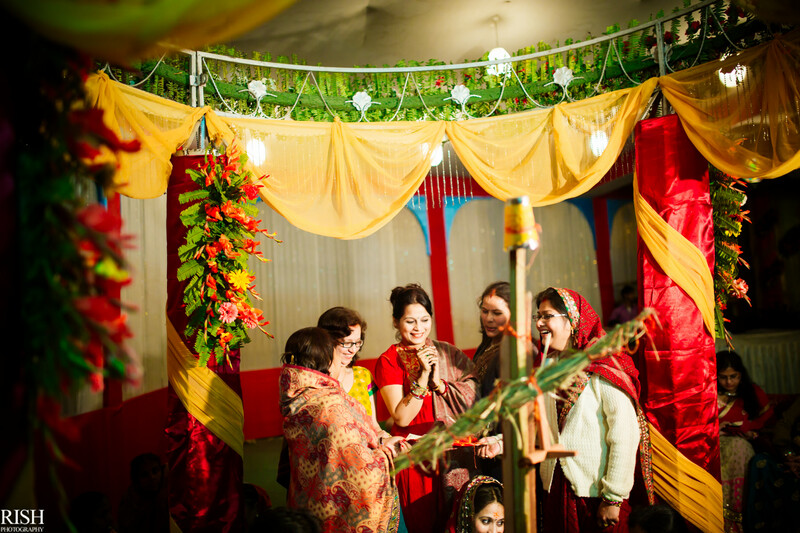 Today, we bring you a beautiful & serene wedding story from the land of Kanpur. 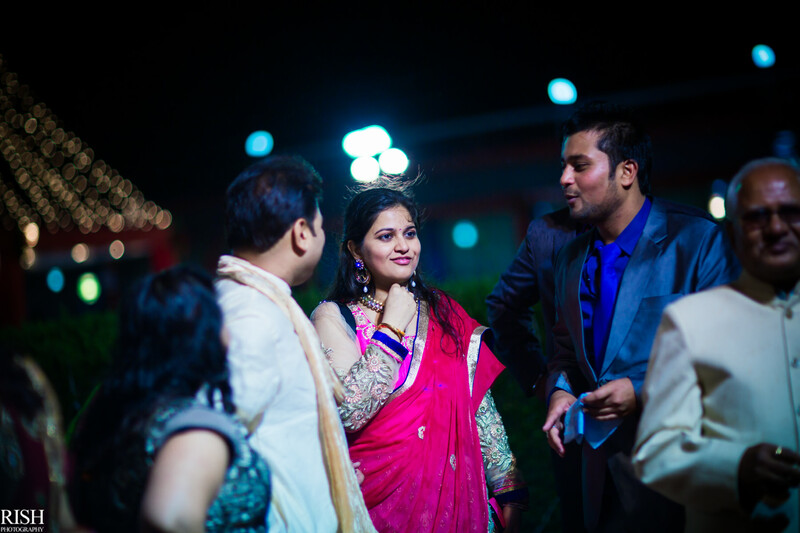 Sneha and Dhruva’s story goes back to the college days where the days went with being together and late nights for sorting the fights between them 🙂 Both being great friends and the members of Saurabh‘s gang, were miles apart in nature. 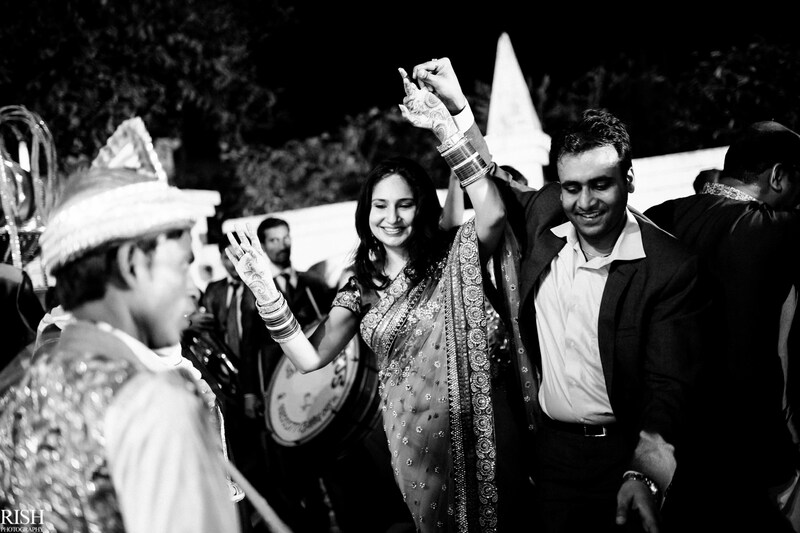 But still, love found its way like it always does. 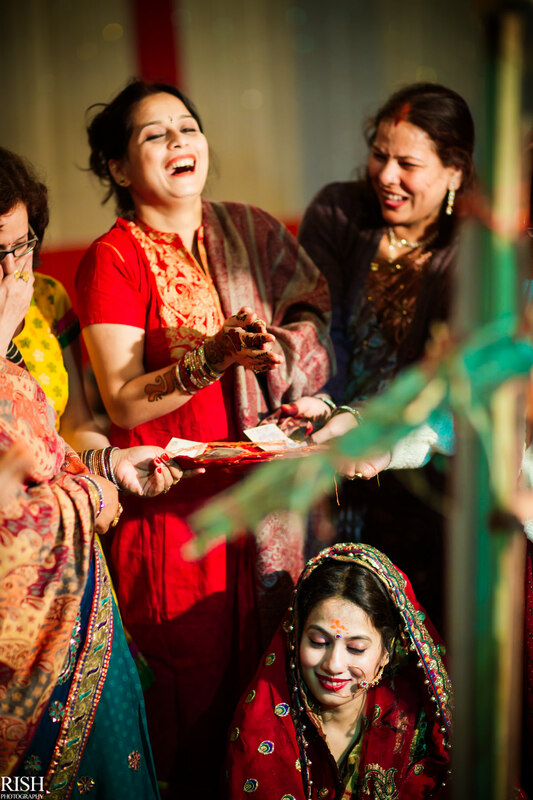 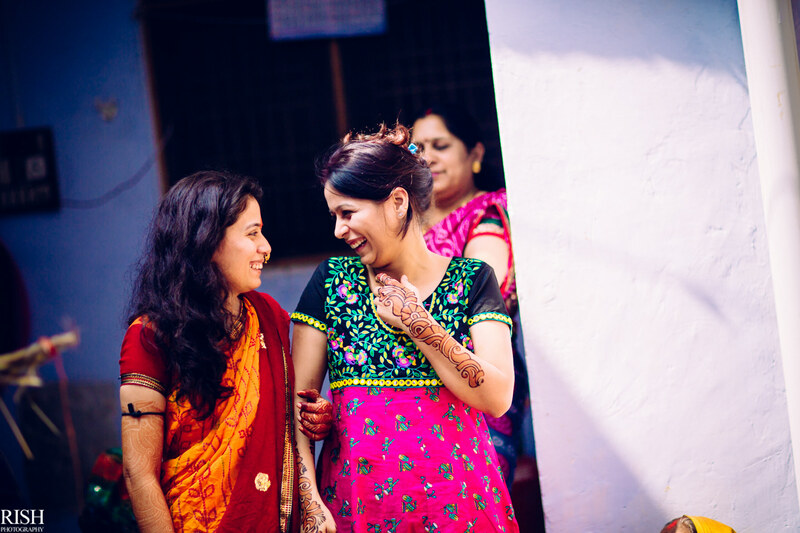 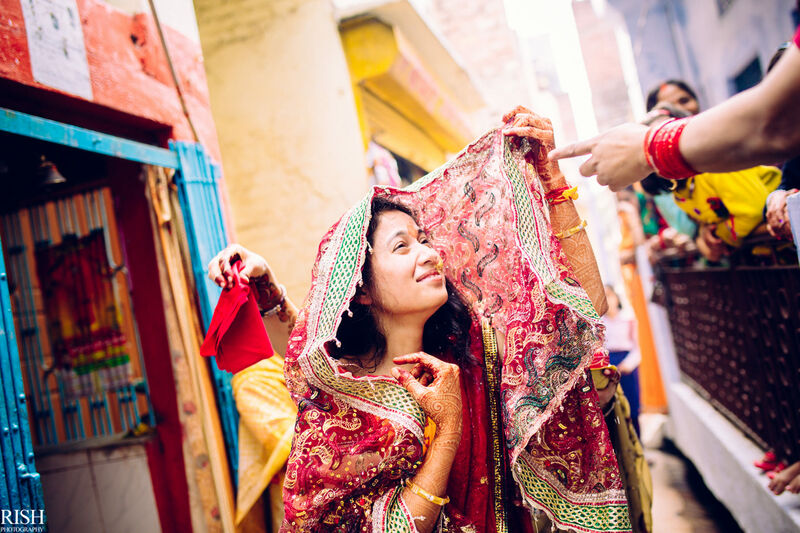 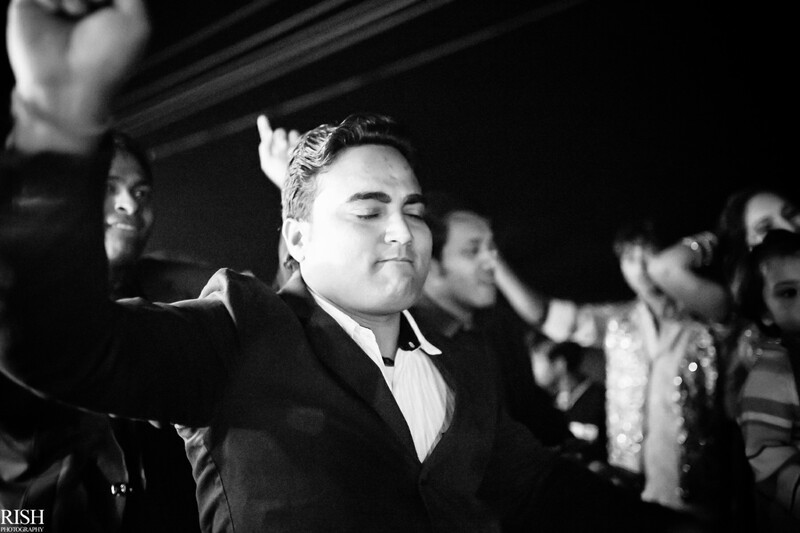 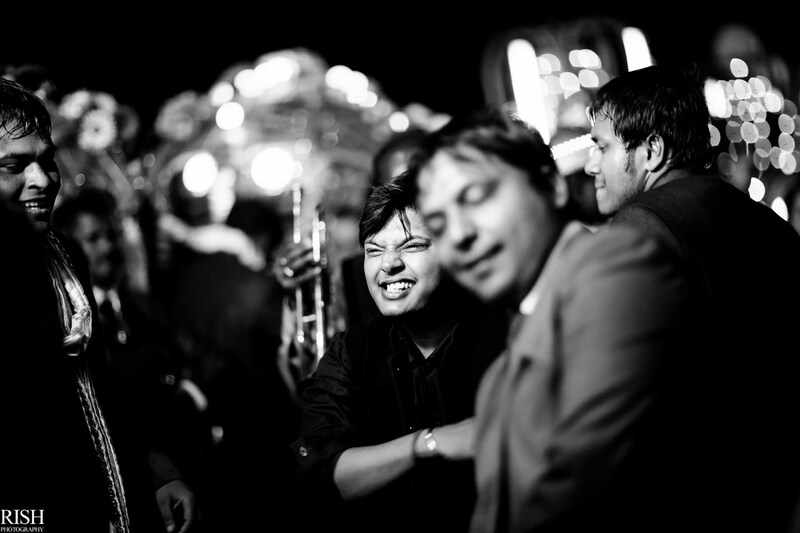 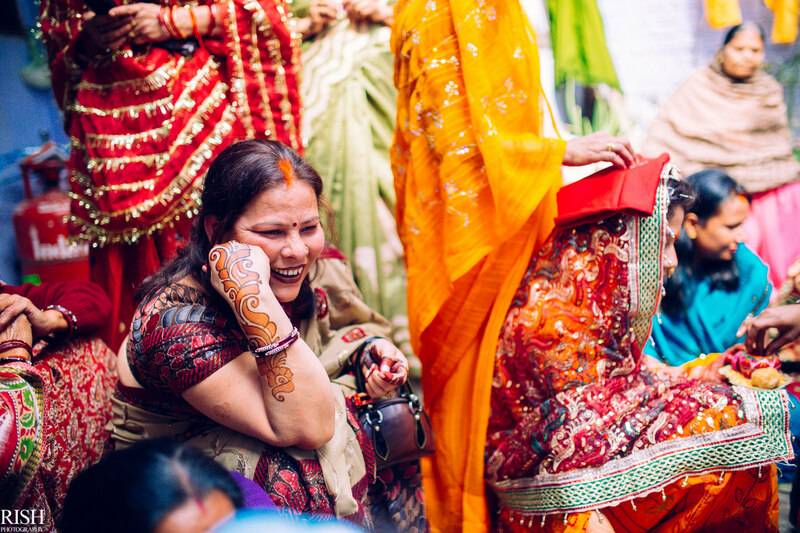 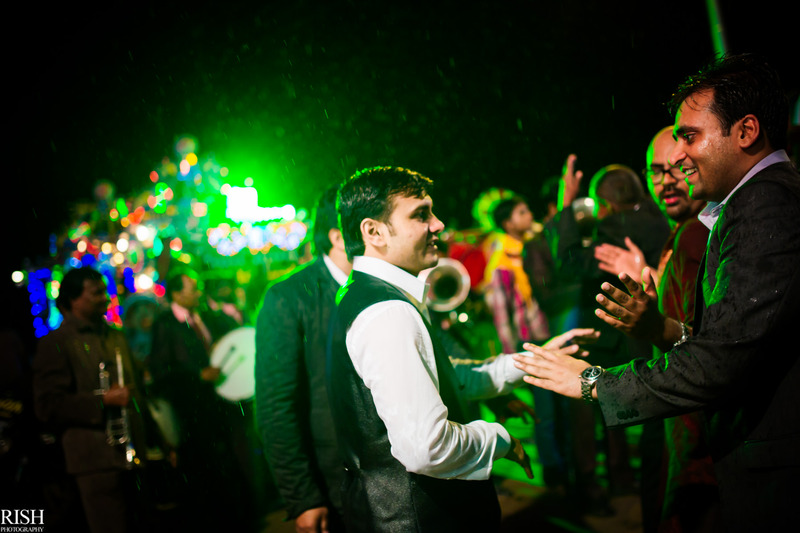 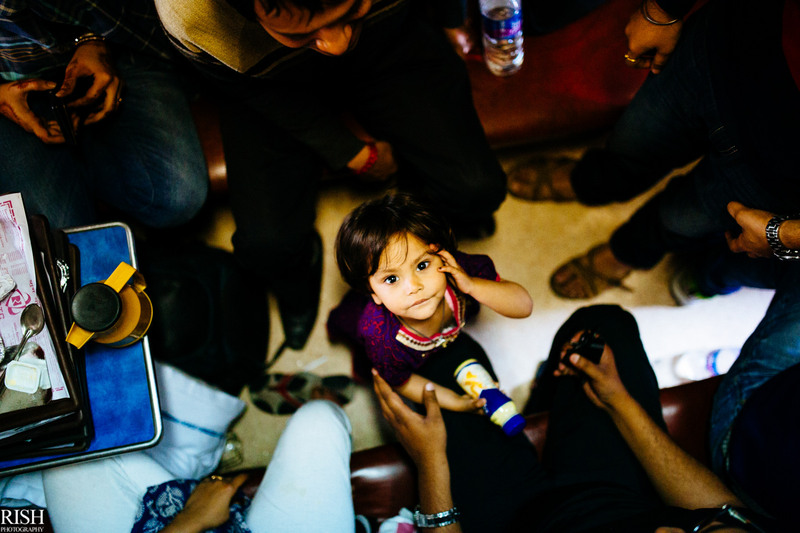 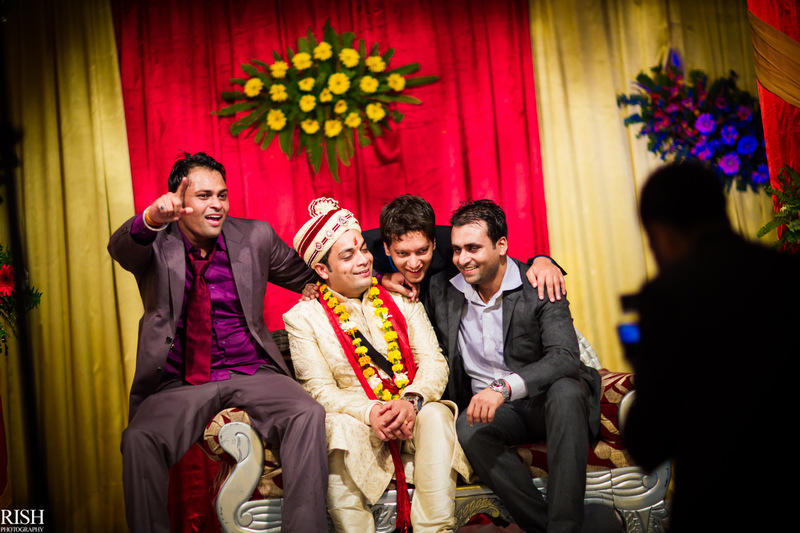 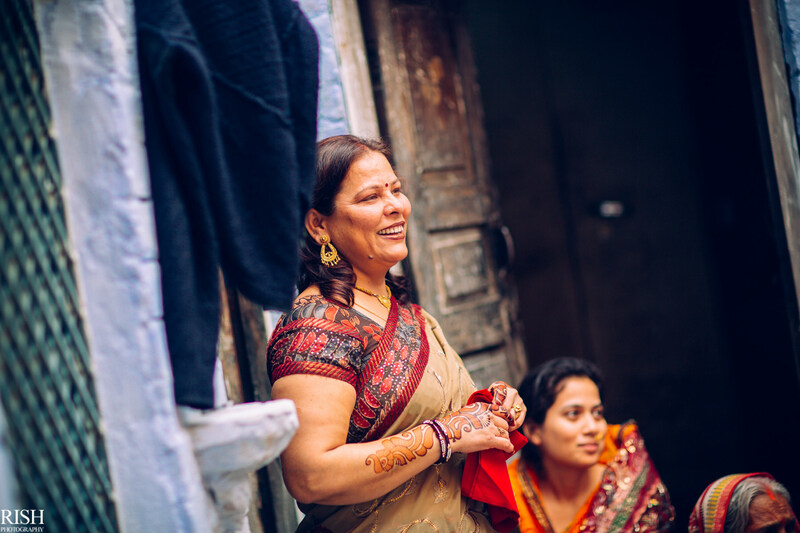 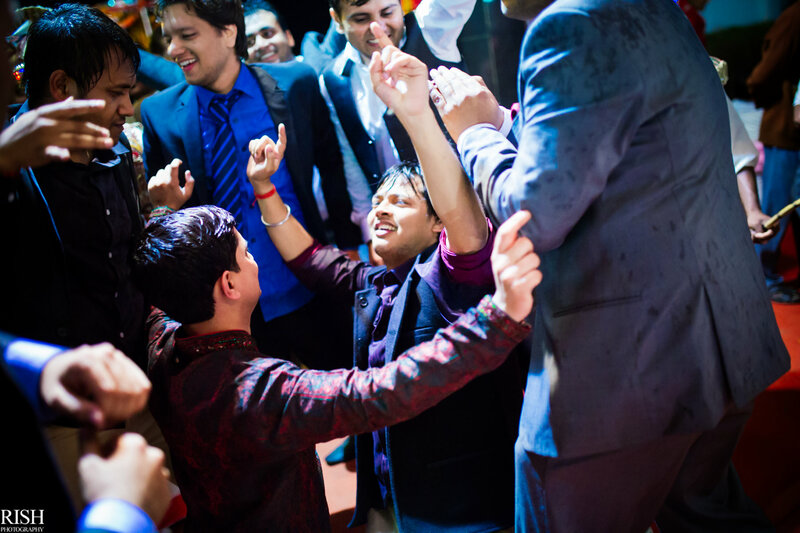 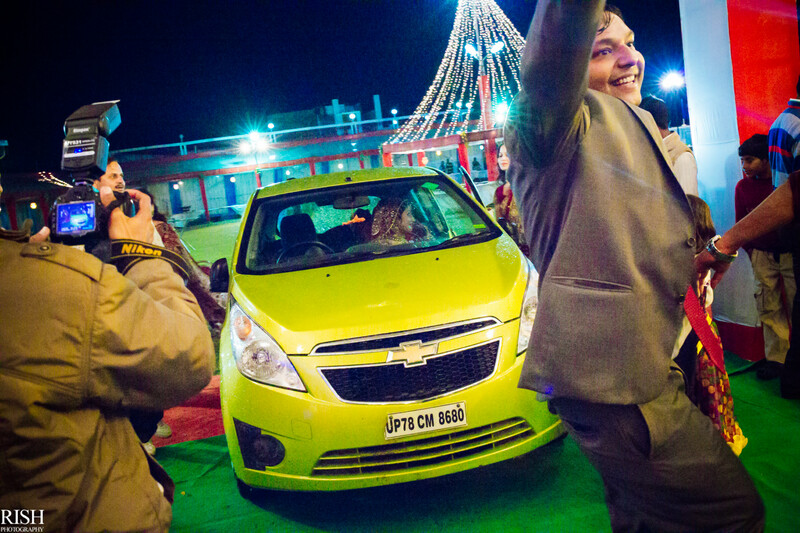 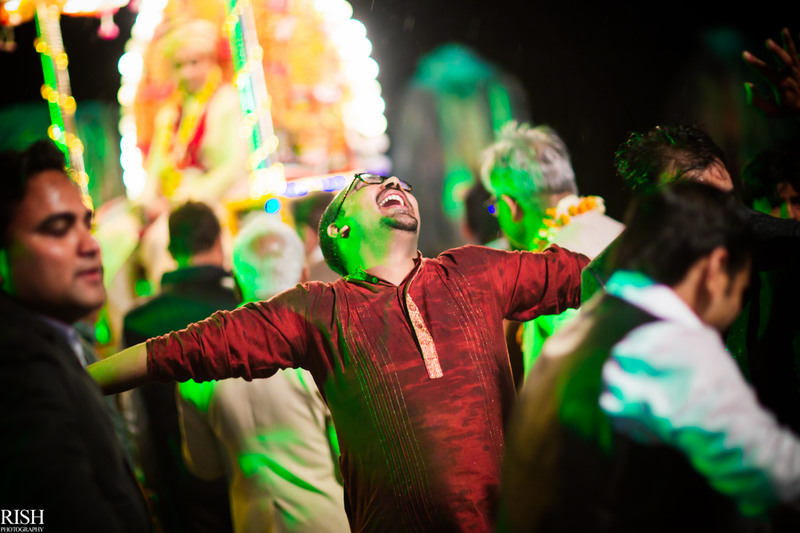 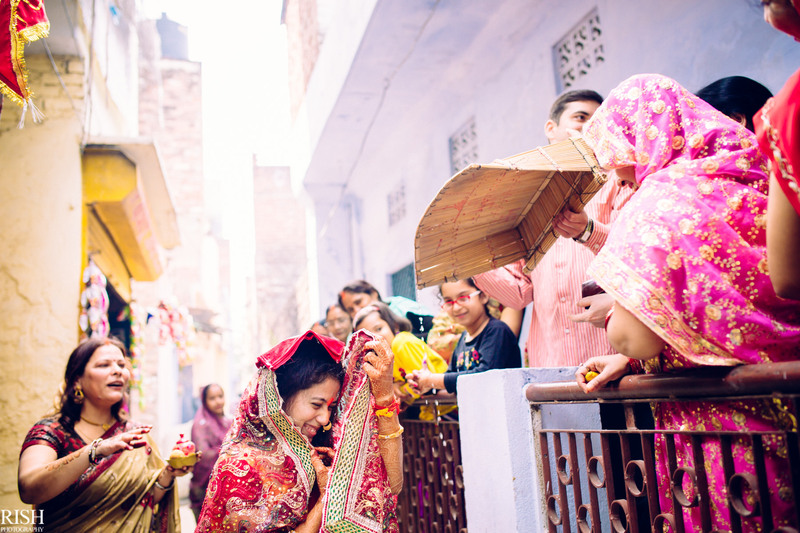 The moment their wedding date got finalized, I was called to photograph their journey and story from Delhi to Kanpur. 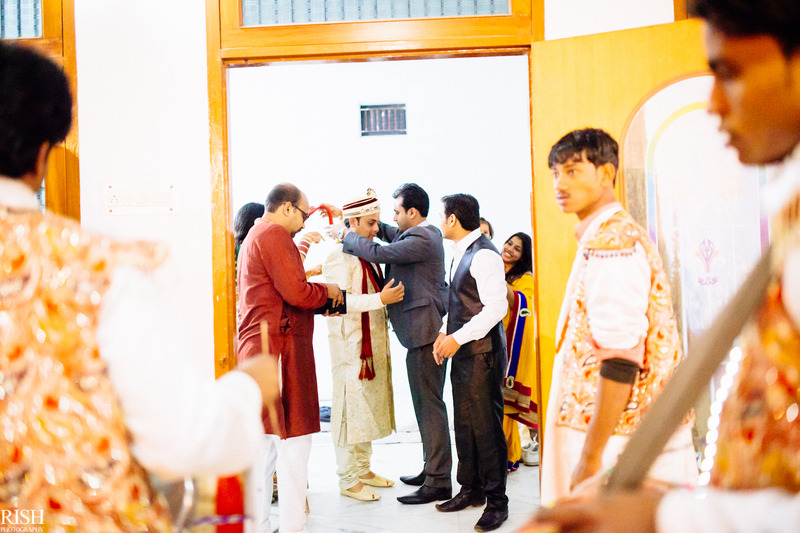 Both being friends of Saurabh & Deeksha, I wasn’t asked, but informed that I’m shooting their wedding 😛 And I obliged! 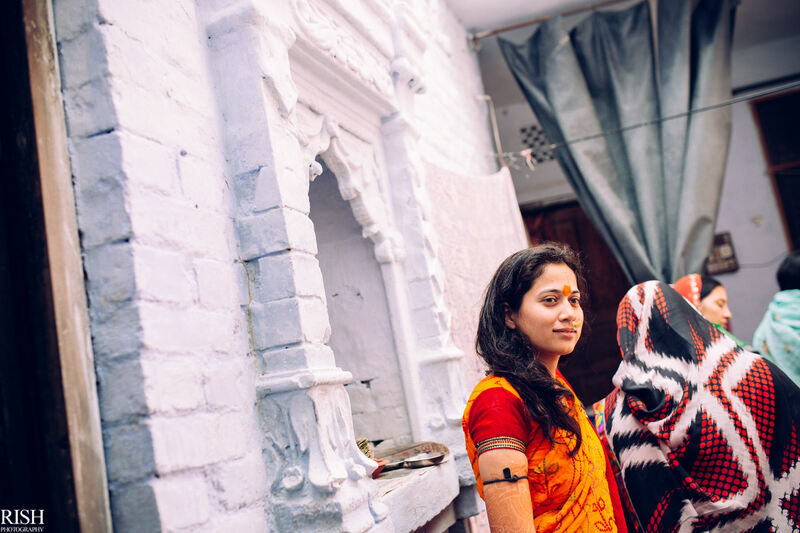 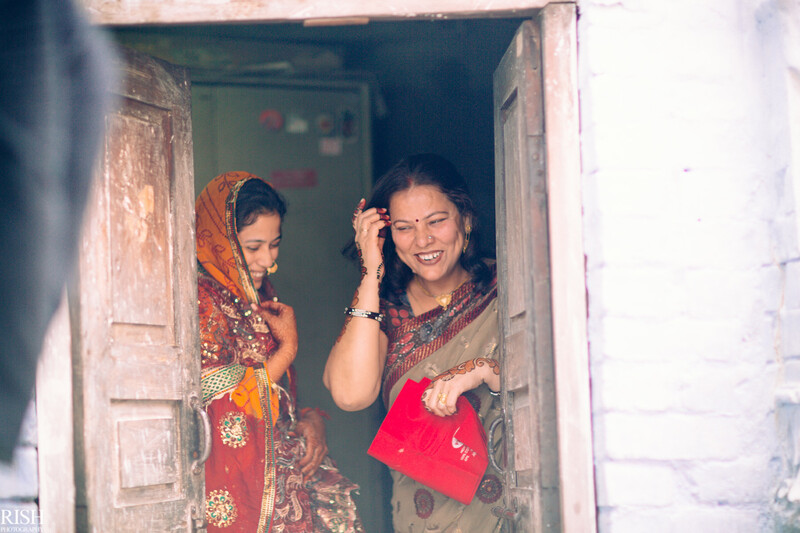 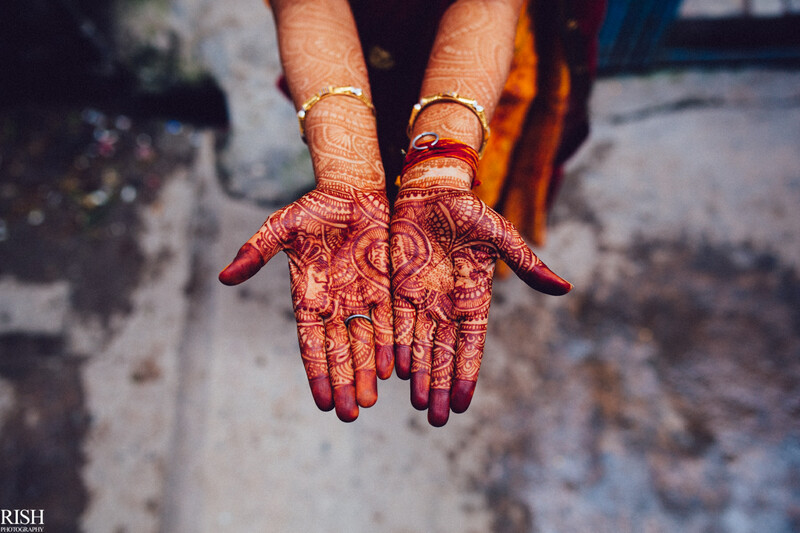 Let me take you to Sneha’s home in Kanpur where I was pretty excited, seeing the environment and the energy that surrounded her morning rituals. 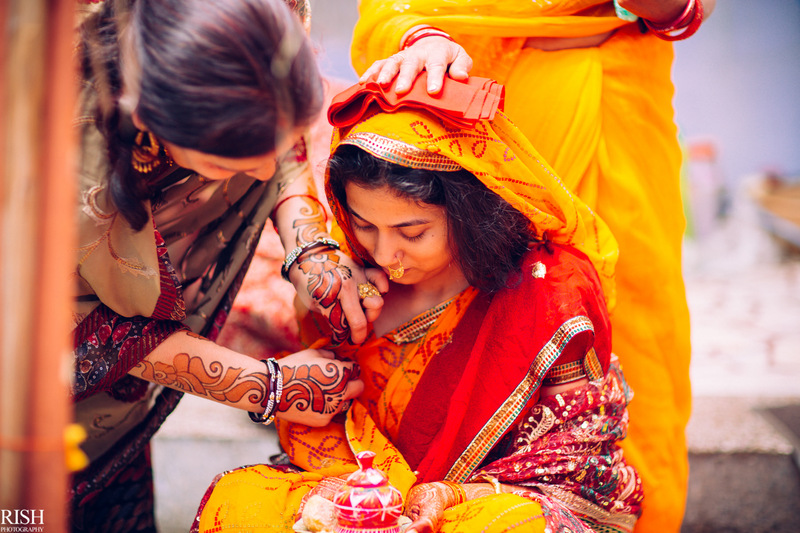 This is as simple and emotionally colorful as it can get! 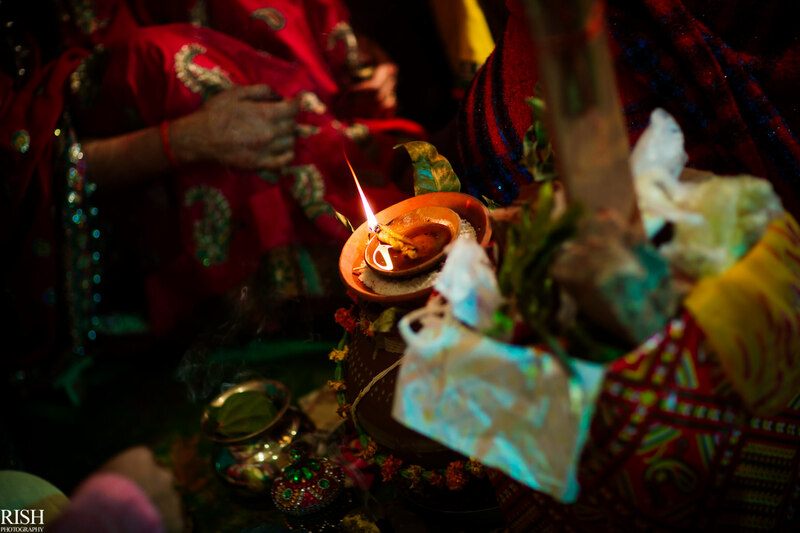 After everyone was done with the initial rituals, Sneha was supposed to be taken to the nearby temple. 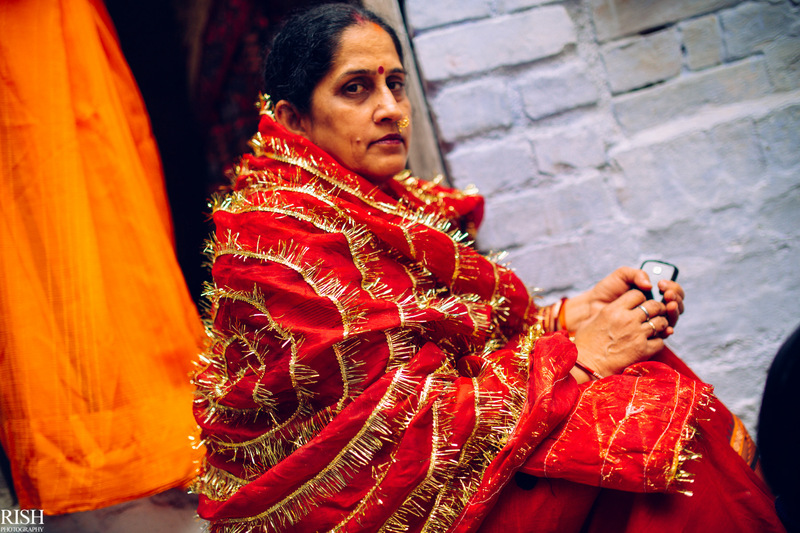 If you haven’t been to Kanpur and especially in the streets of the town, you wouldn’t know that they are actually very emaciated. 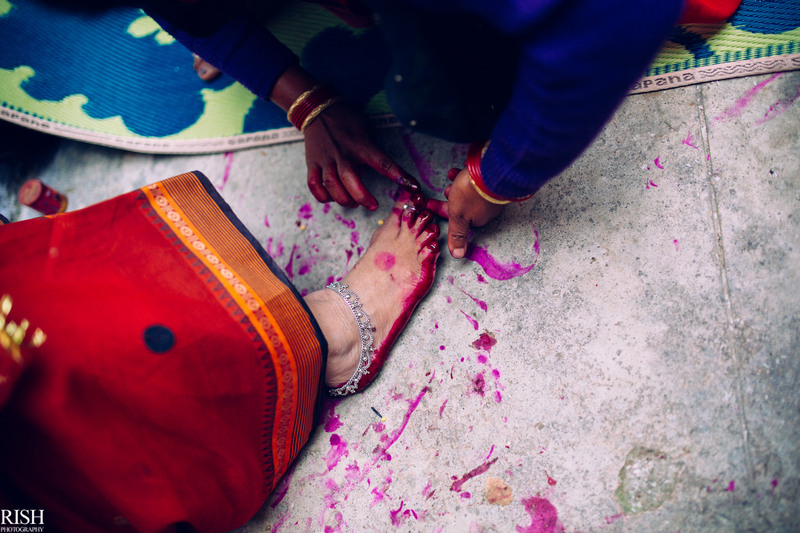 That said, there were numerous shops all around with kids running all over the street. 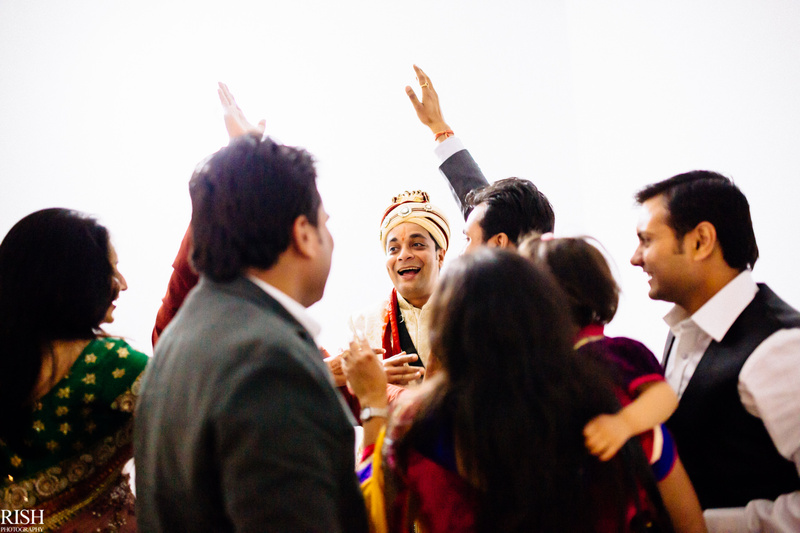 That made me excited about the photo-making possibilites there. 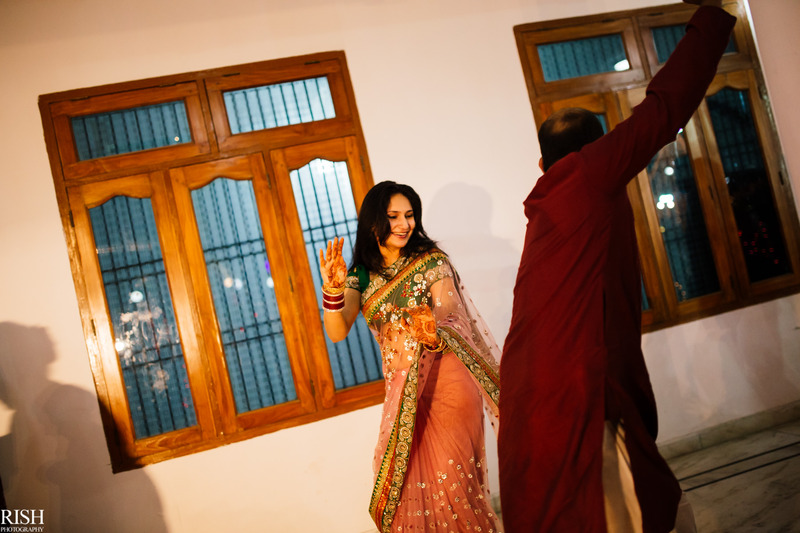 And while they were moving forward, I was actually moving backwards, photographing them. 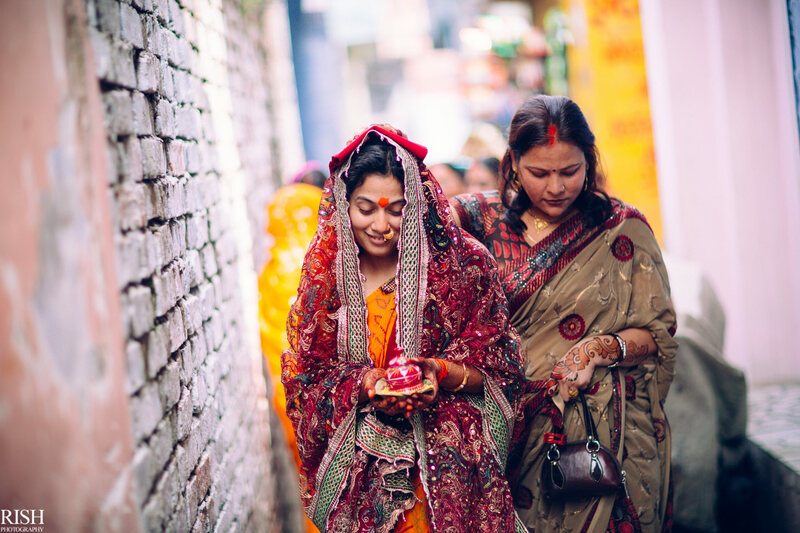 While I have mastered the art of making photographs walking in opposite direction over the years, the streets of Kanpur were a challenge. 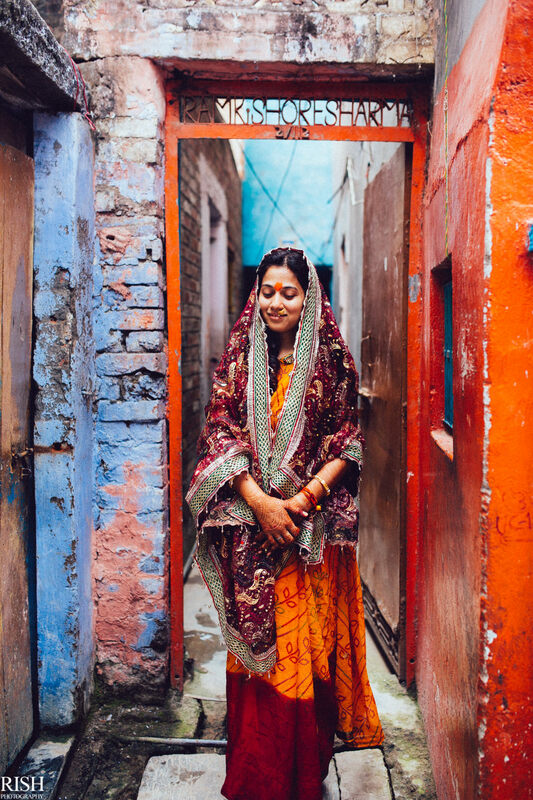 However, the colors, the patterns and the opportunities around seemed endless to my eyes! 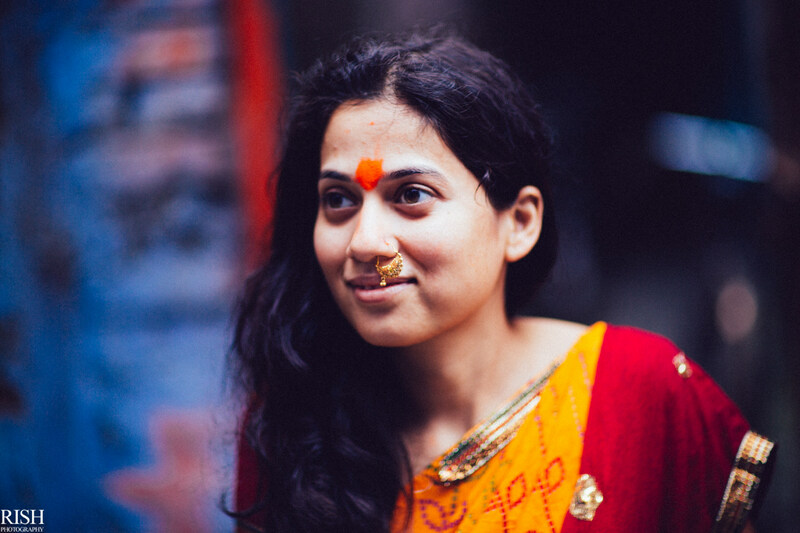 And it was time for some portraits! 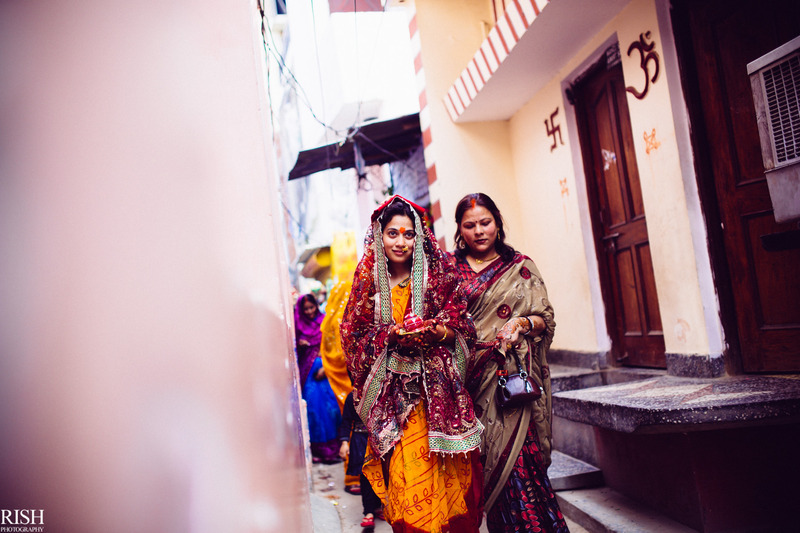 I couldn’t have missed taking the portraits among the interesting streets, colors, patterns of this beautiful bride to be! 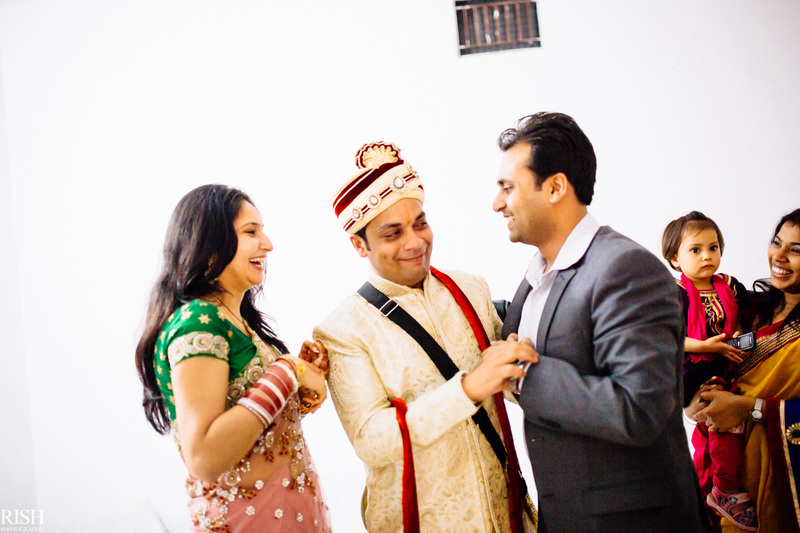 The afternoon ended with the lunch and now it was time for the wedding. 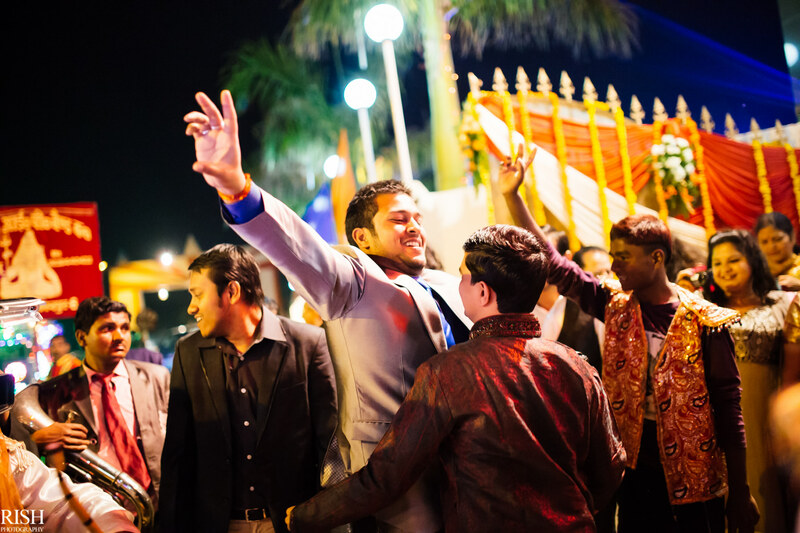 I arrived at the venue much before time since I wanted to shoot Dhruva’s enthusiasm from the very beginning! 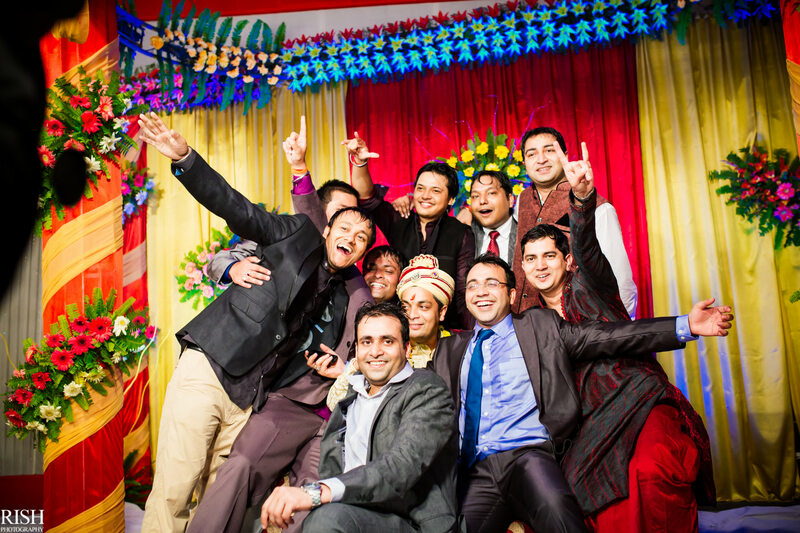 And it all started when the friendly gang arrived! 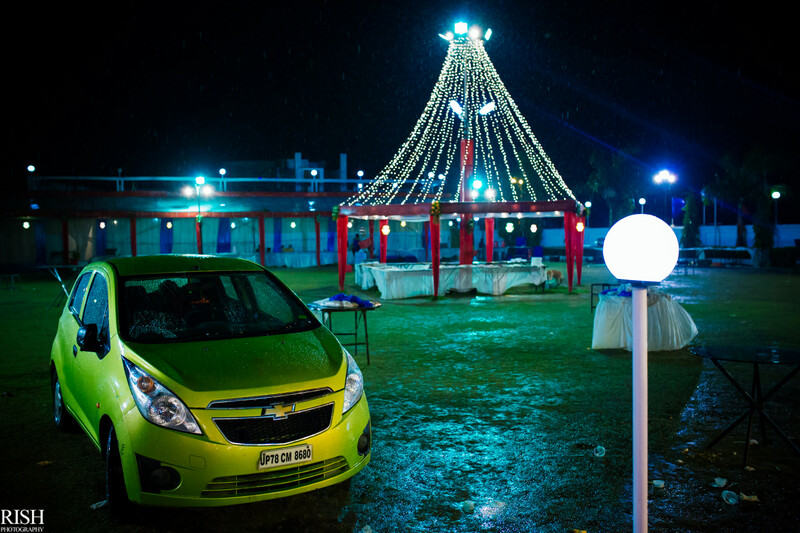 I seem to have some weird special relationship with rain. 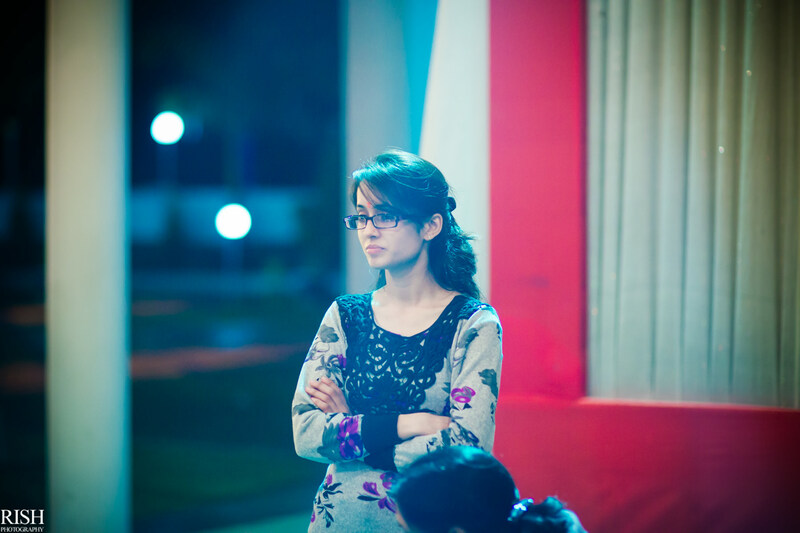 A minute before everything was fine and a second after, it started pouring. 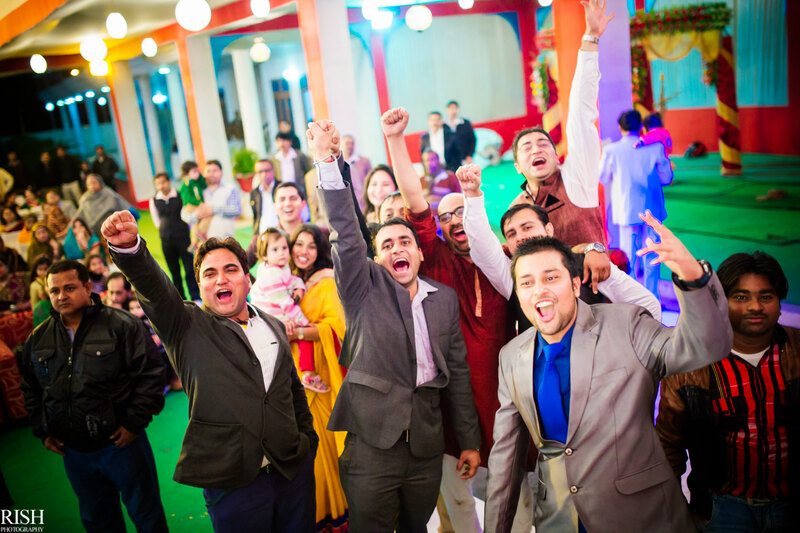 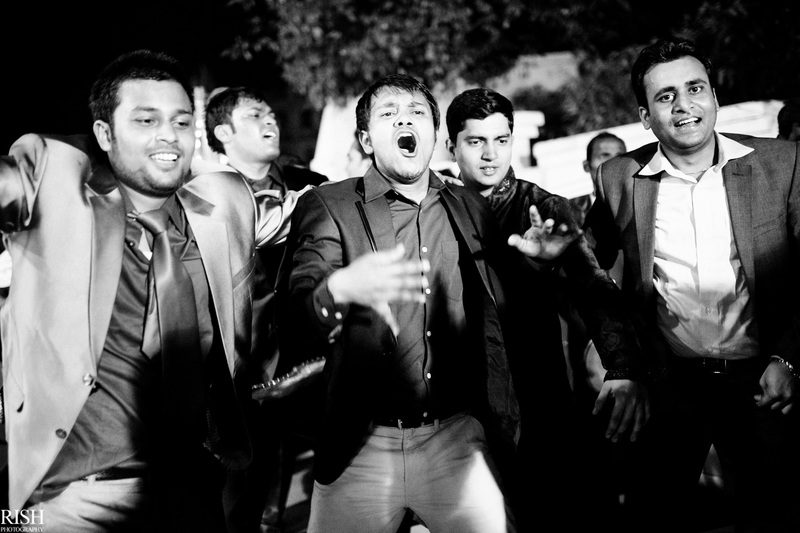 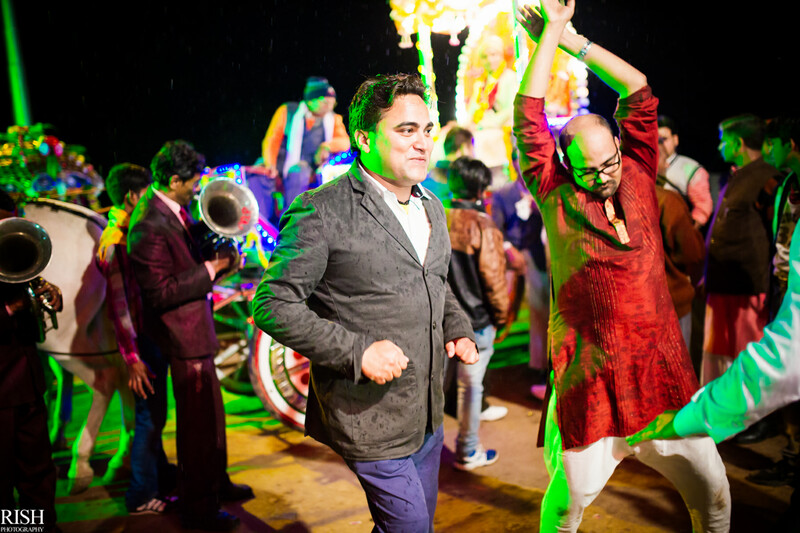 However, that didn’t’ deter these guys even a bit from dancing in their best friend’s wedding! 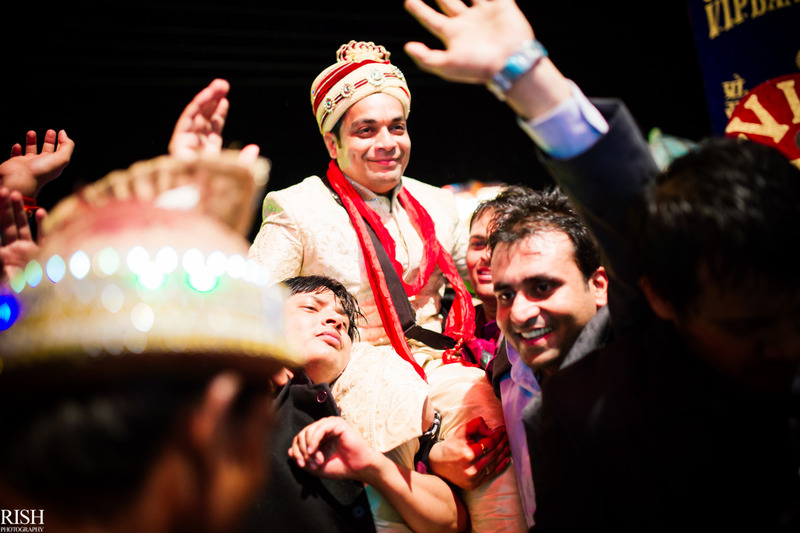 Saurabh is returning the favor from his own wedding! 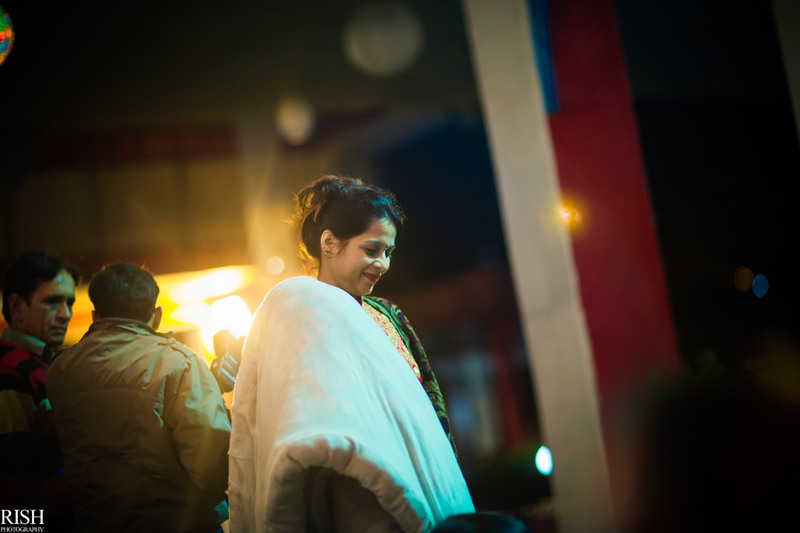 And amidst all the rain, chaos and madness, Sneha arrived.